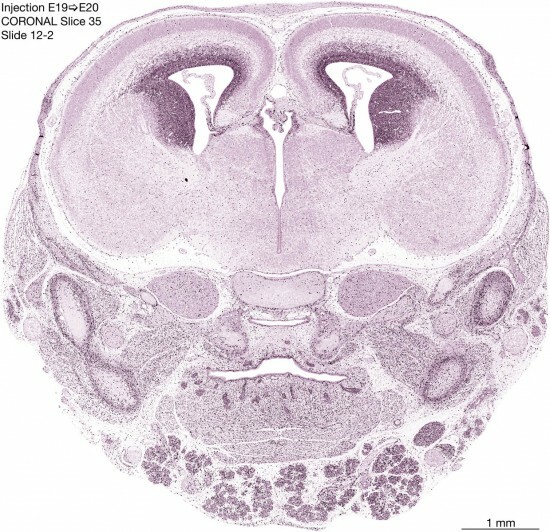 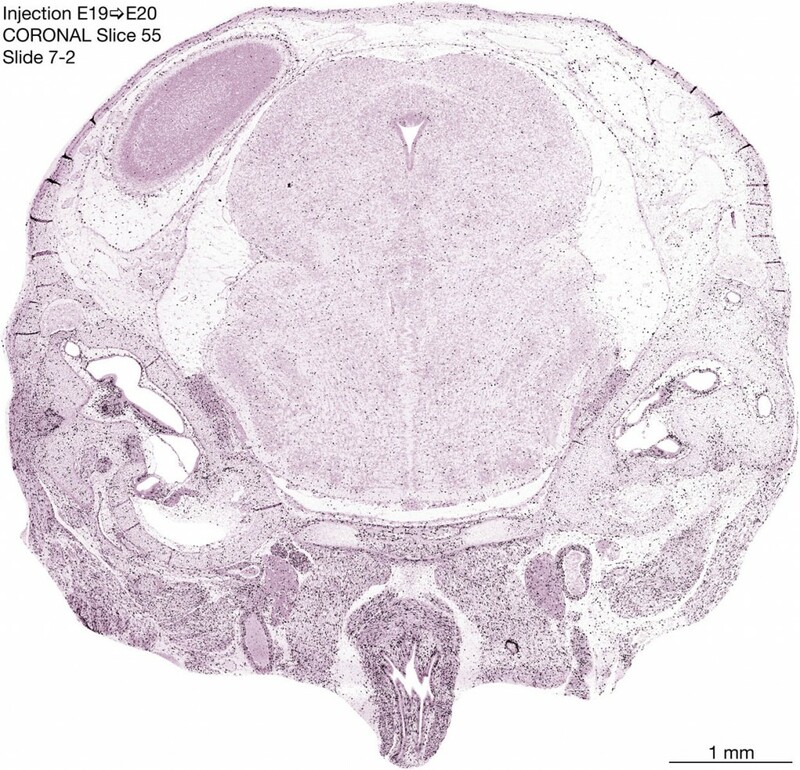 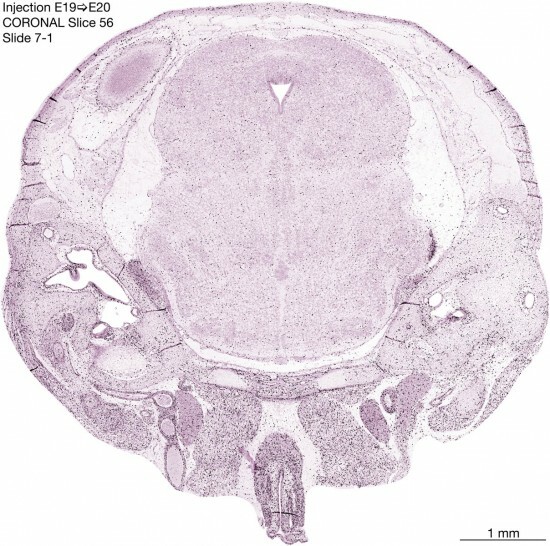 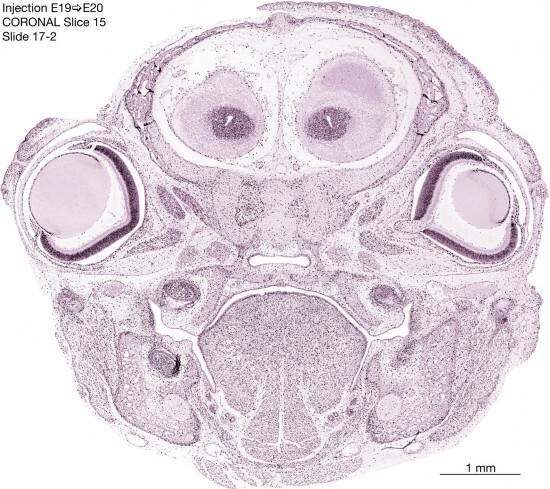 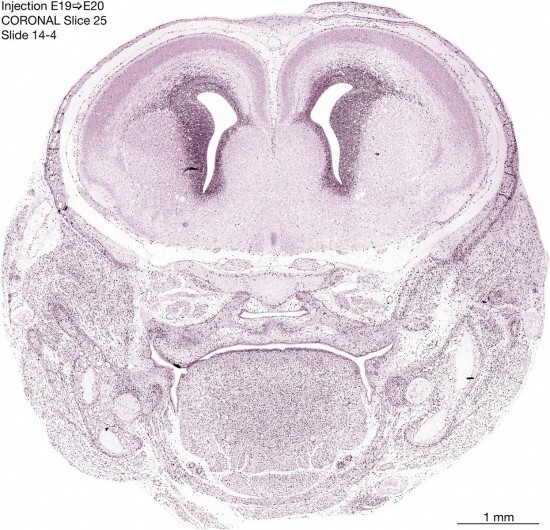 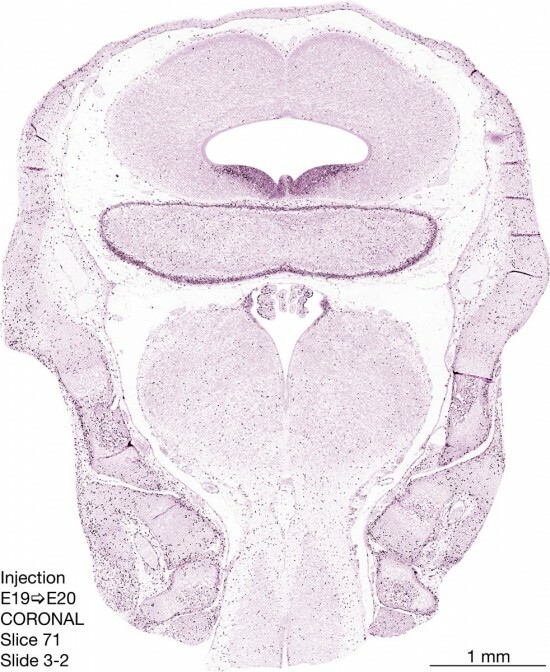 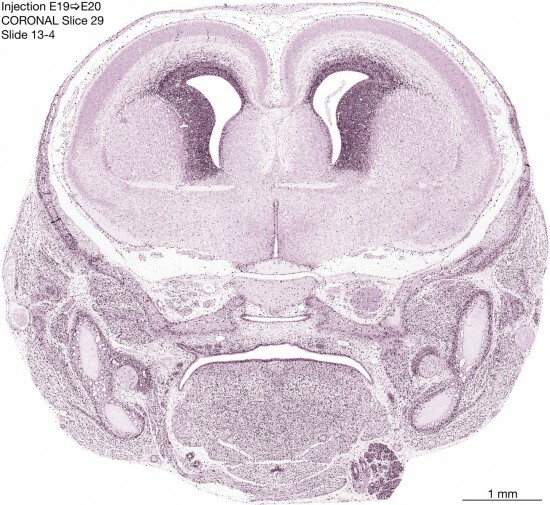 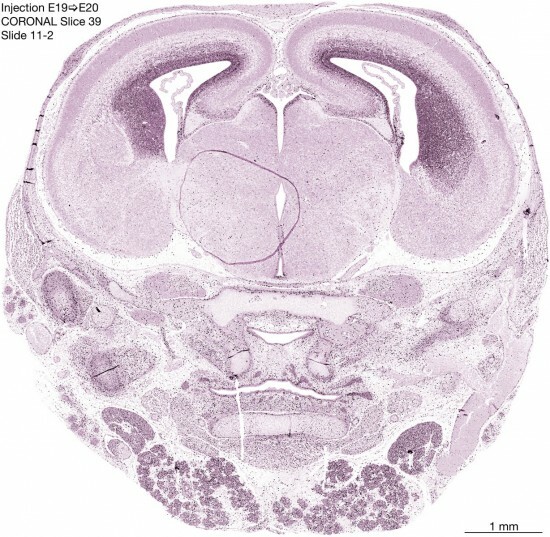 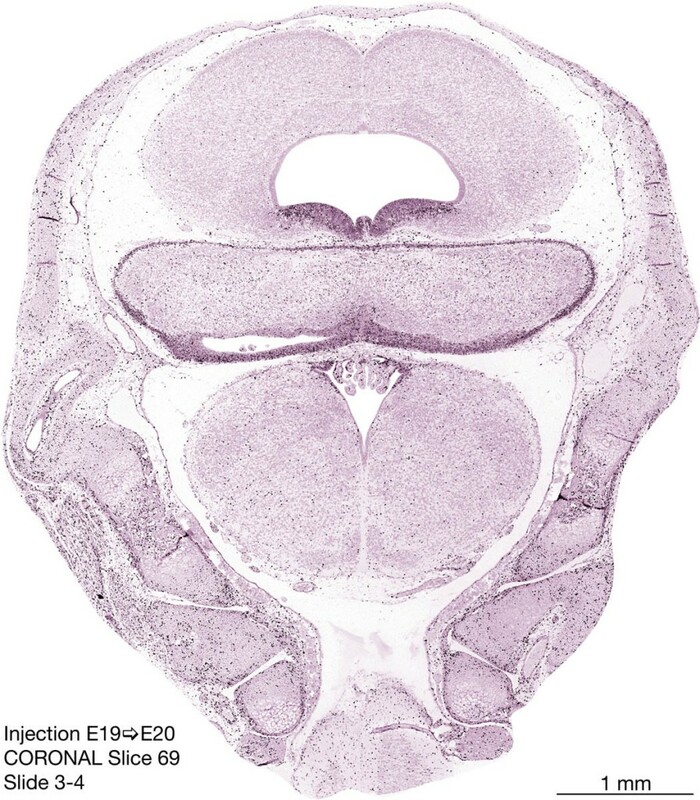 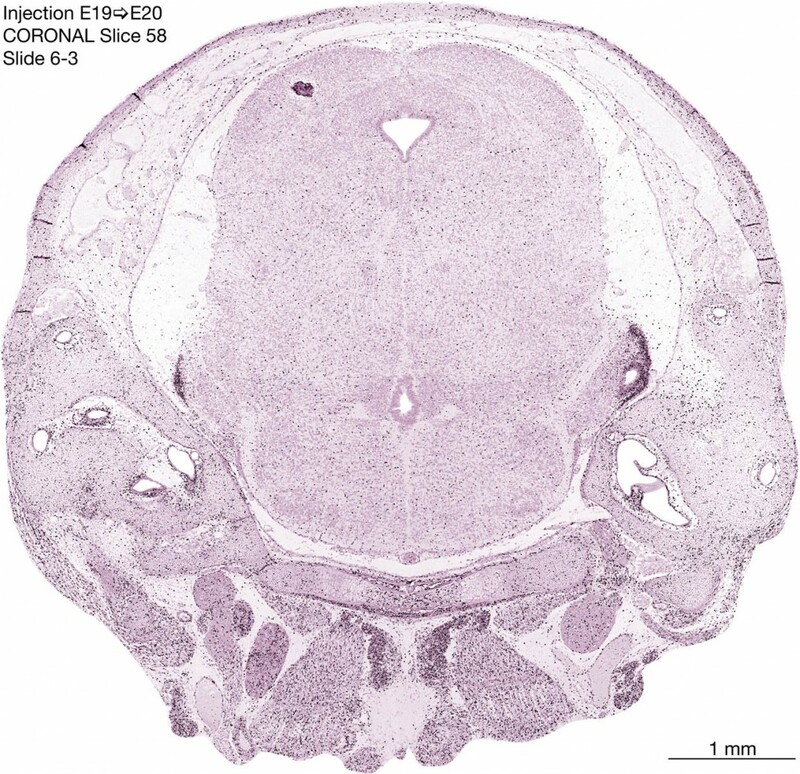 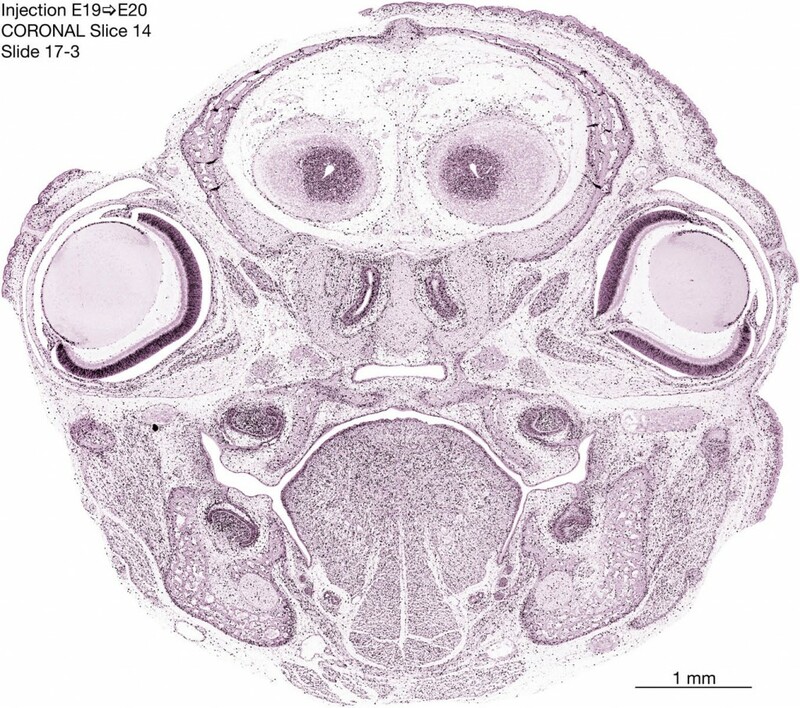 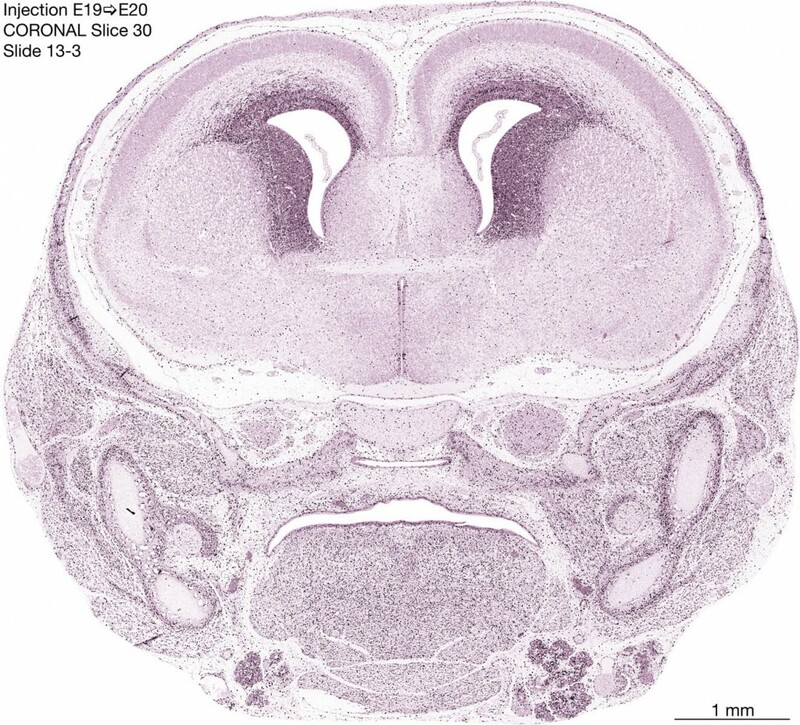 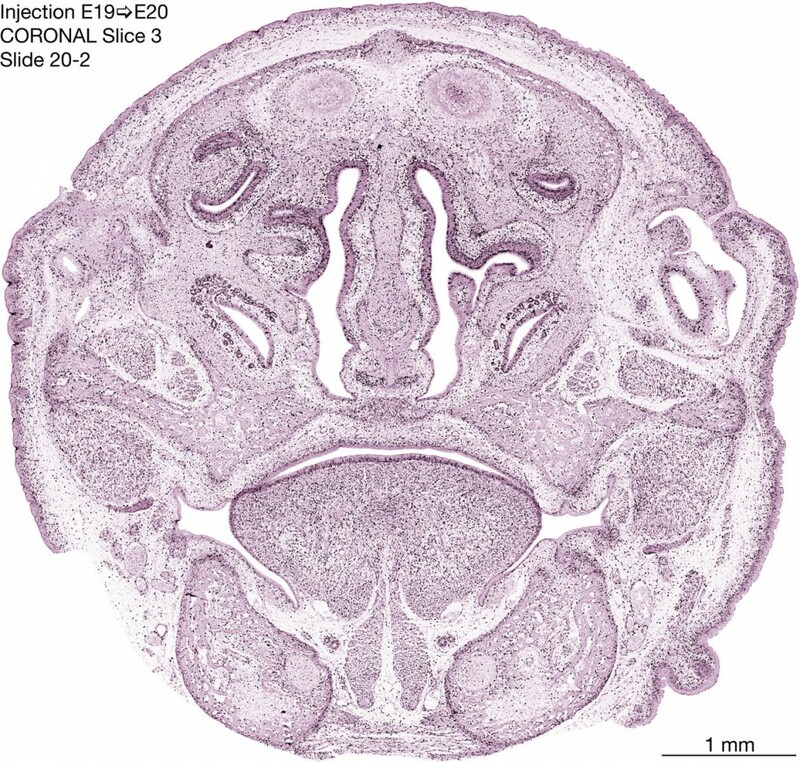 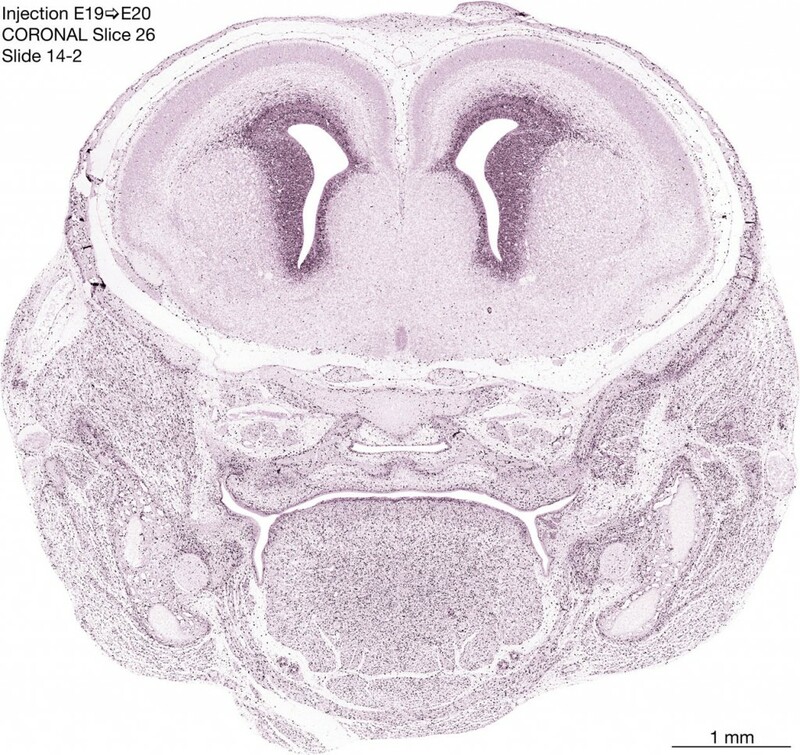 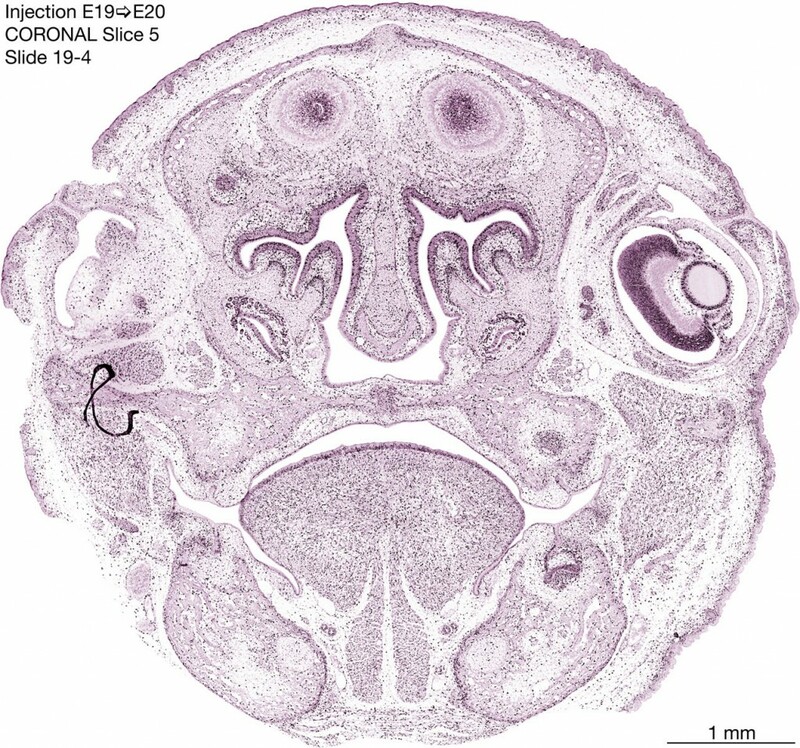 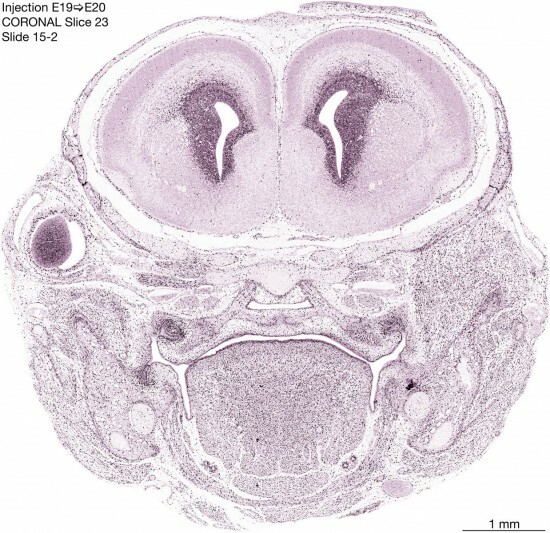 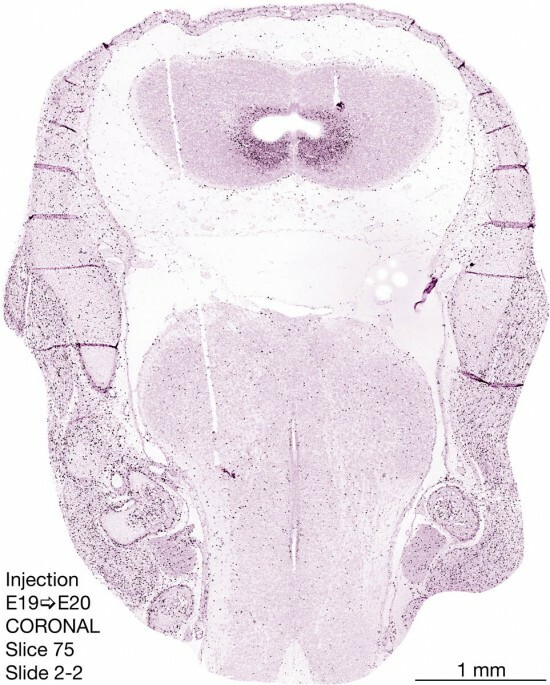 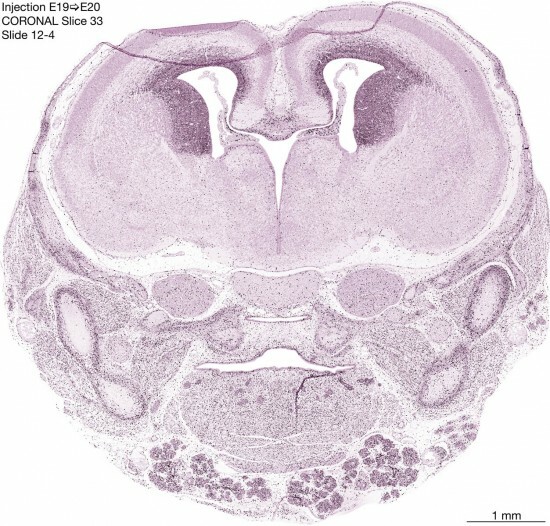 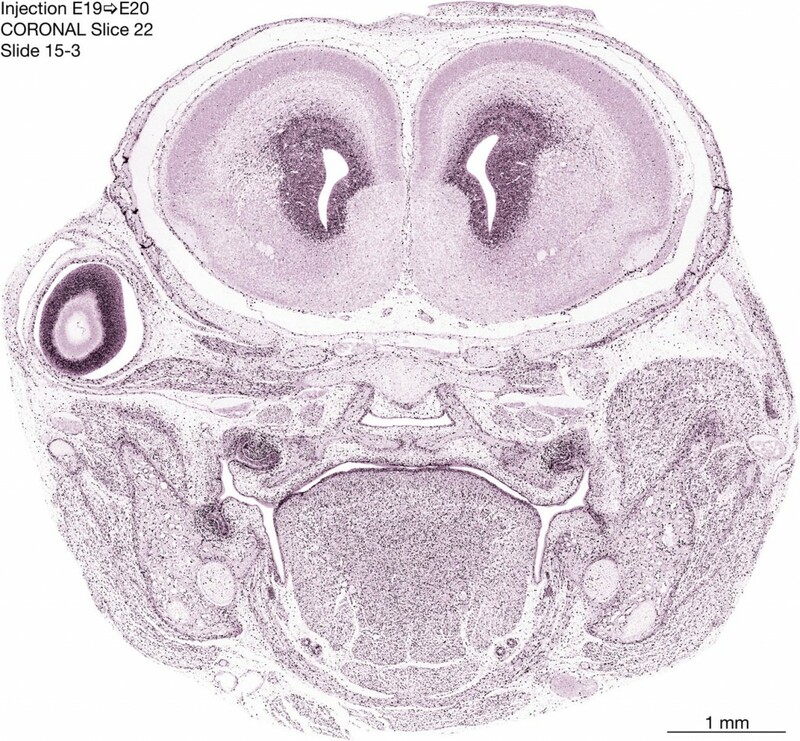 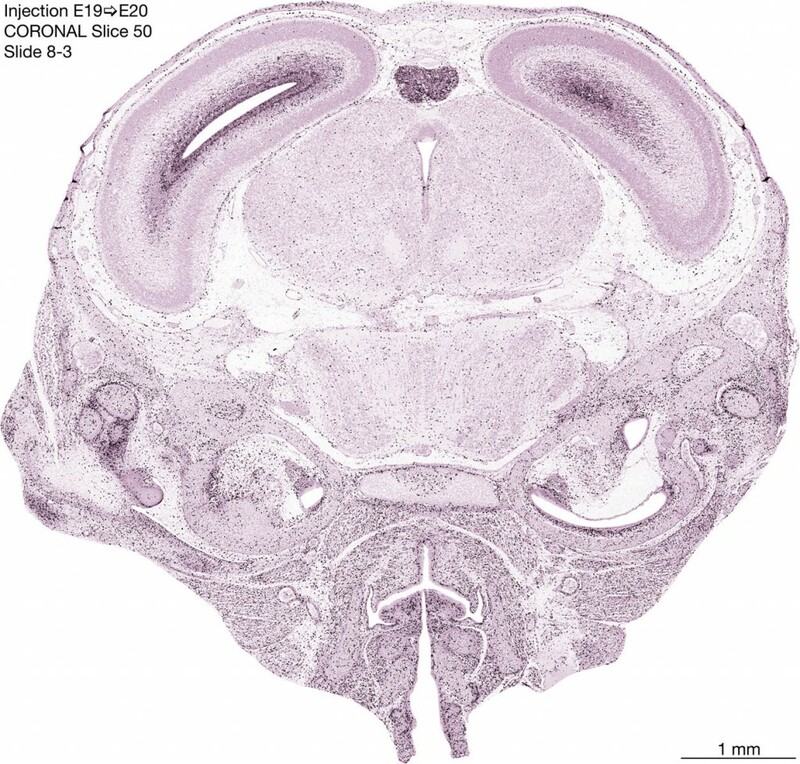 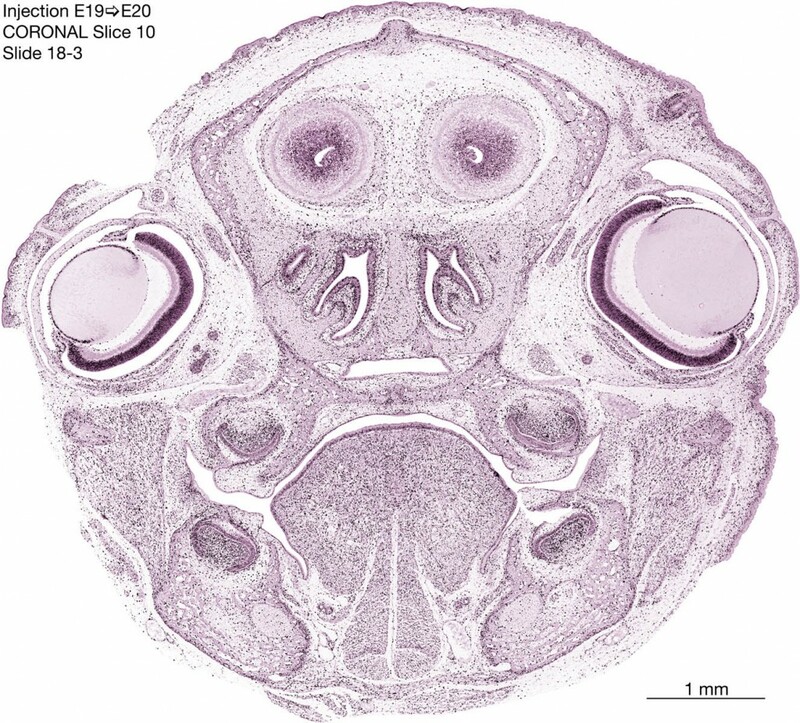 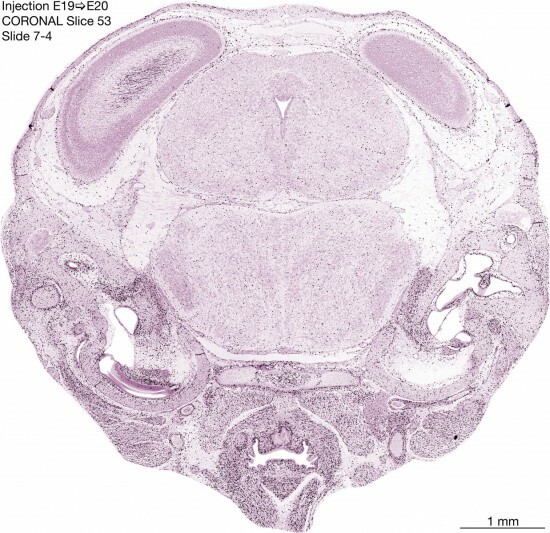 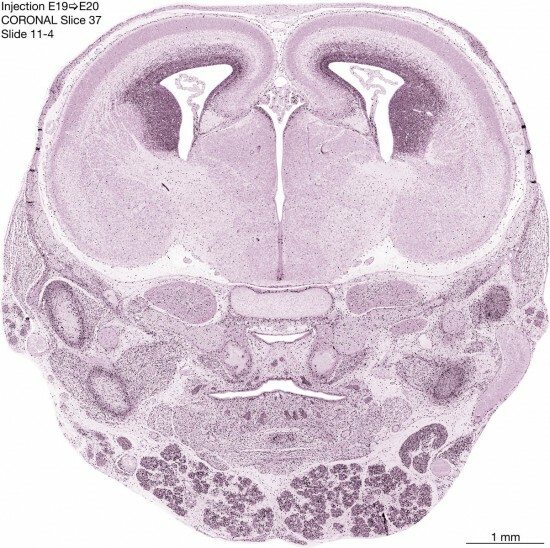 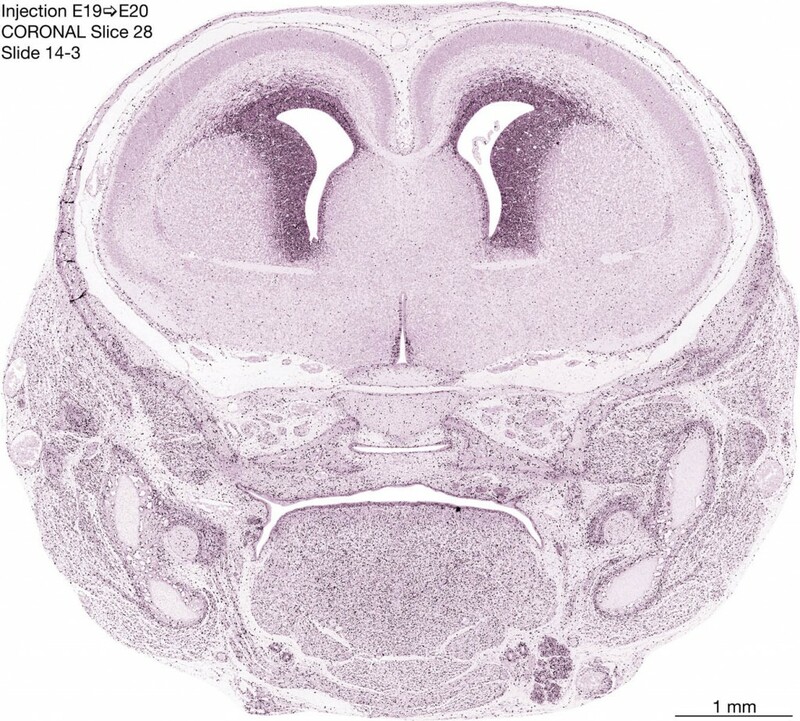 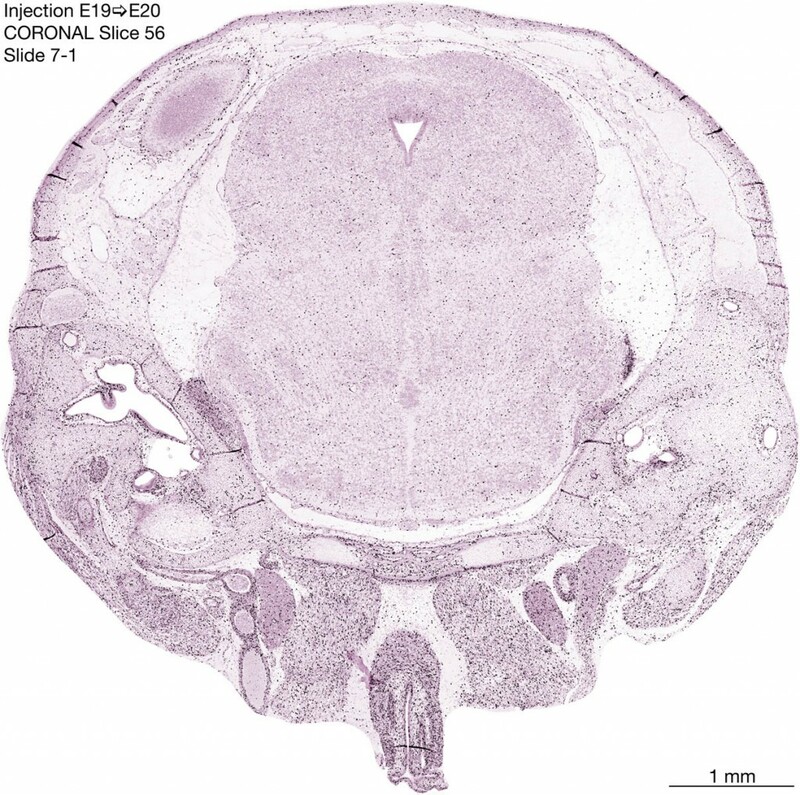 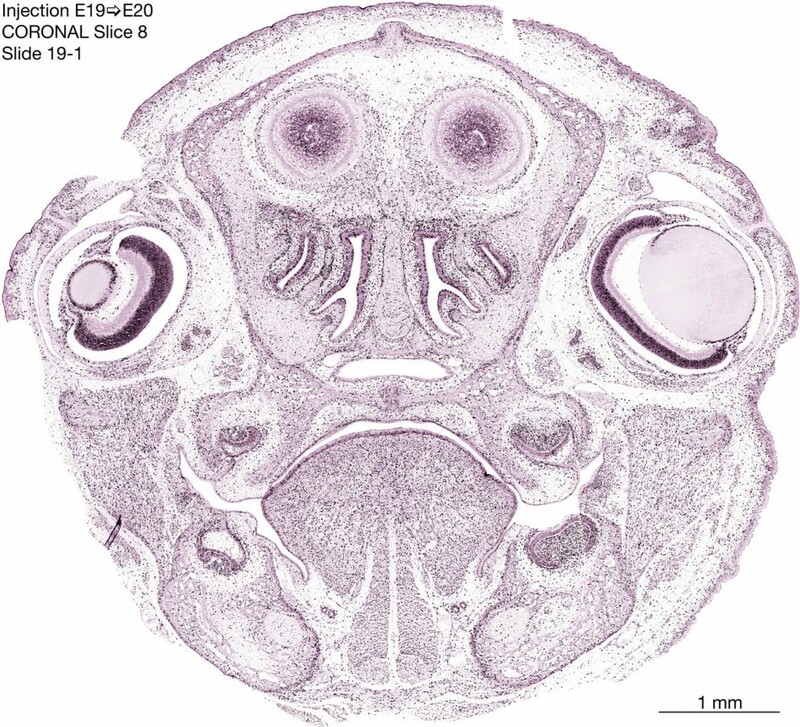 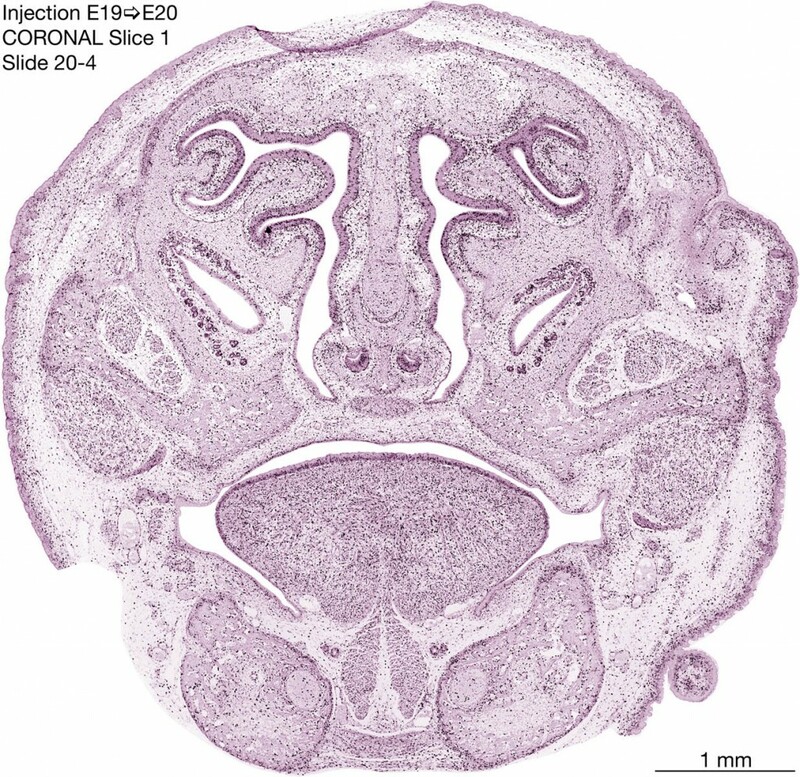 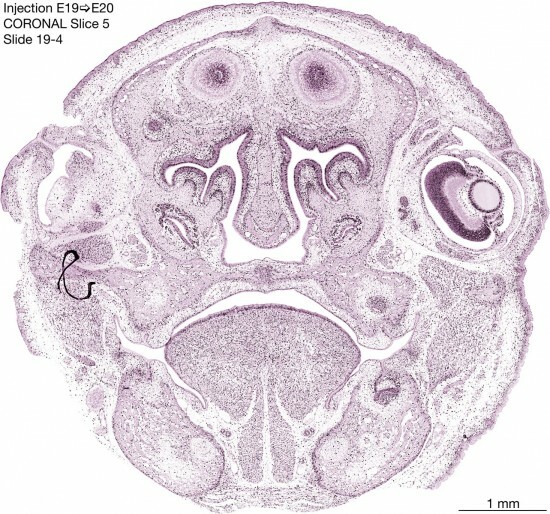 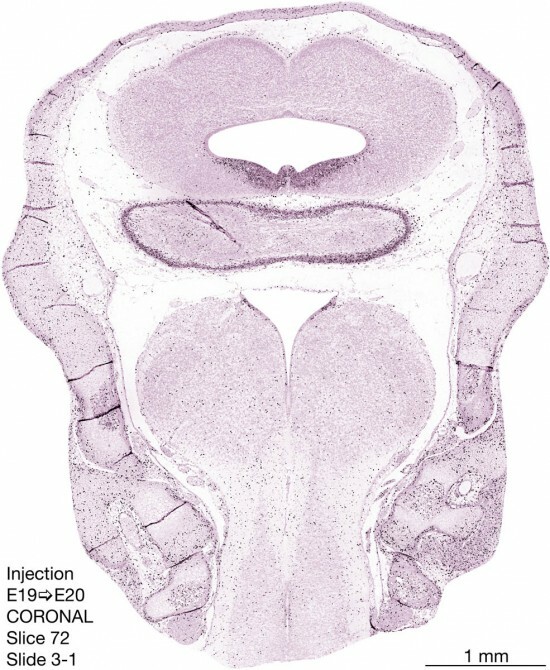 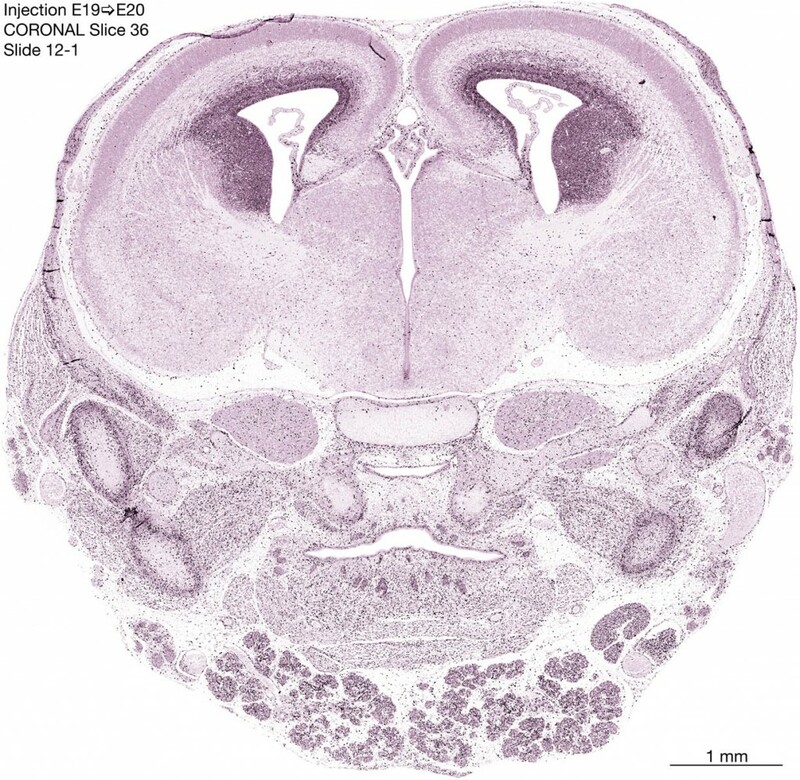 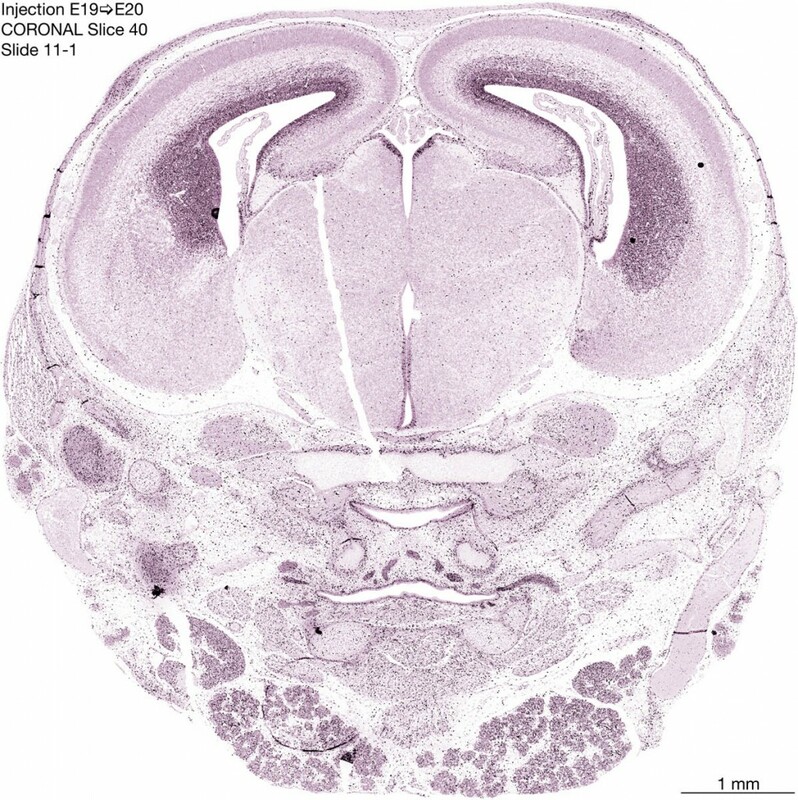 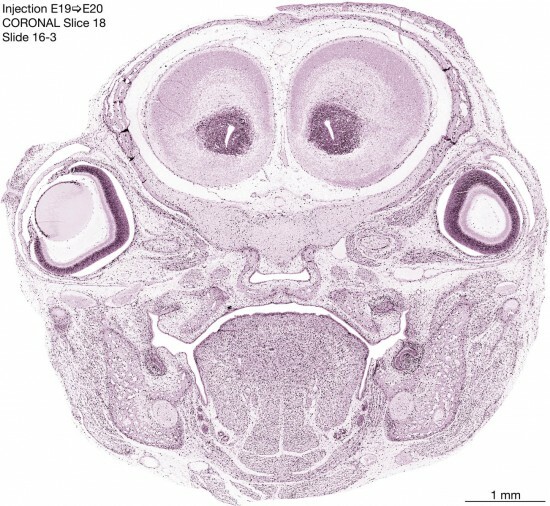 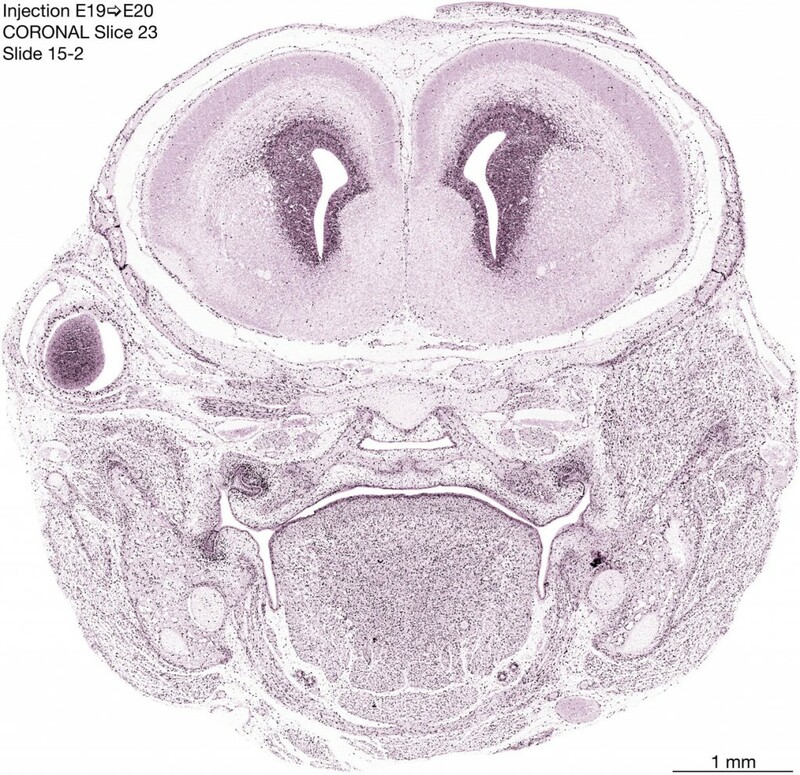 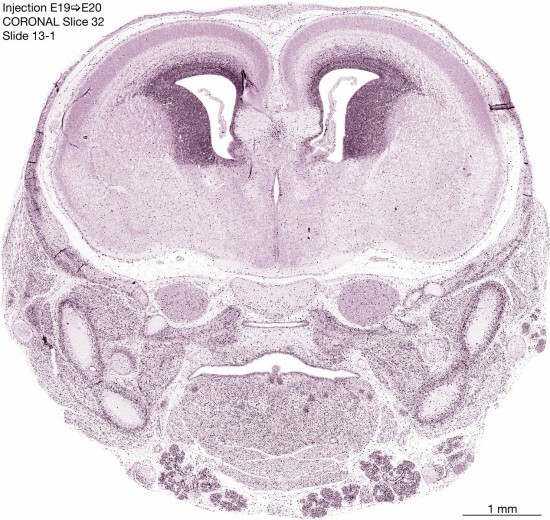 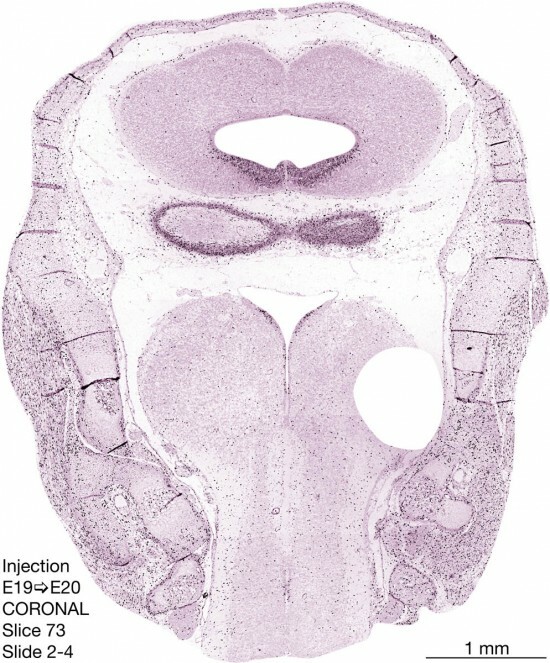 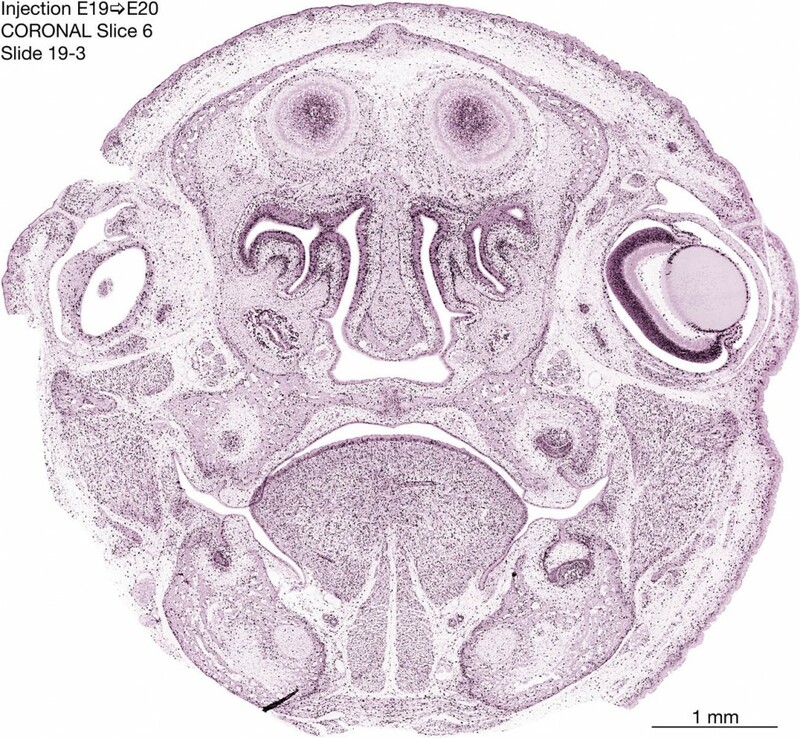 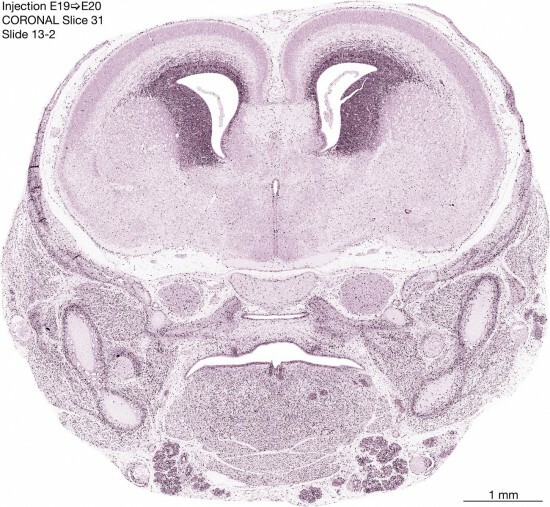 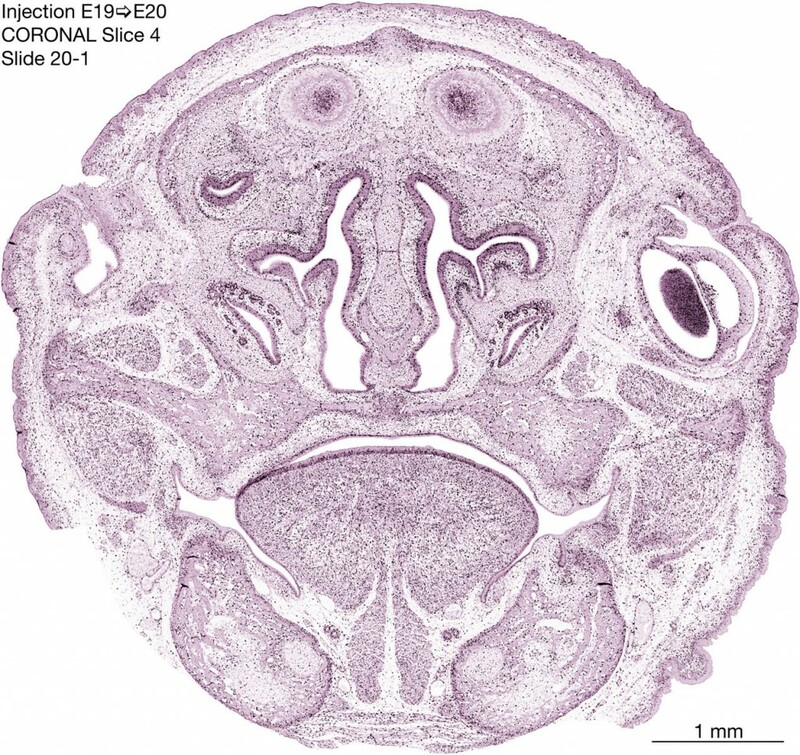 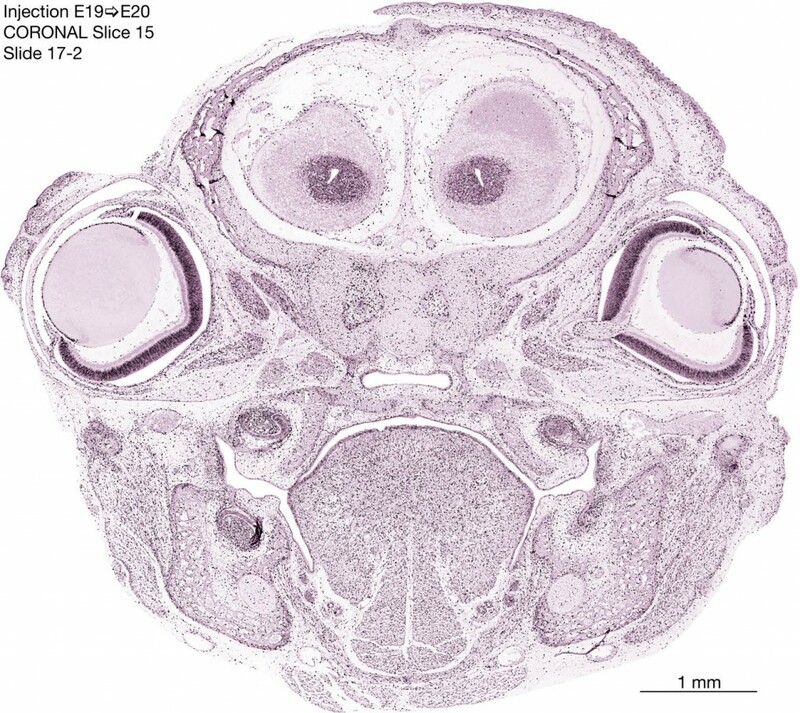 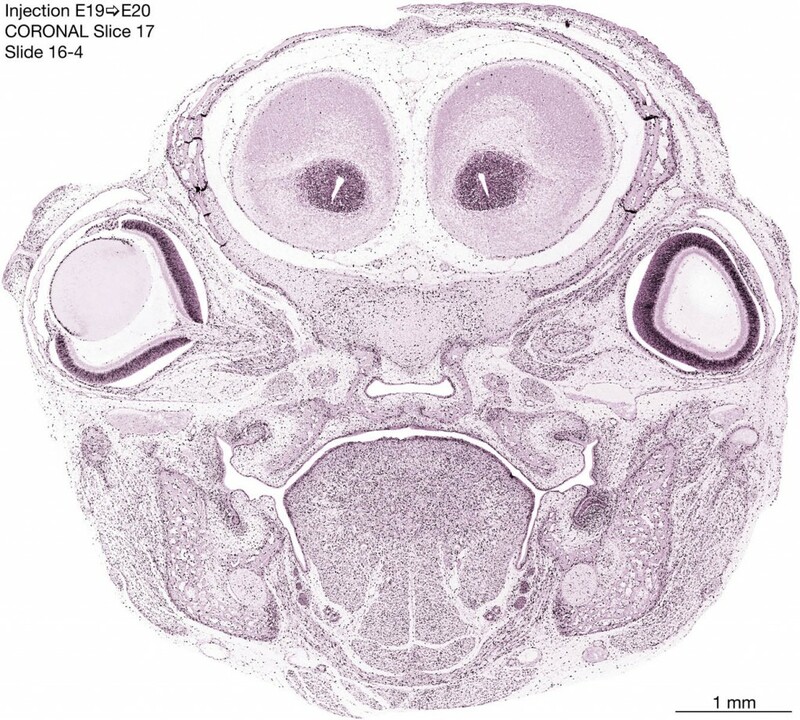 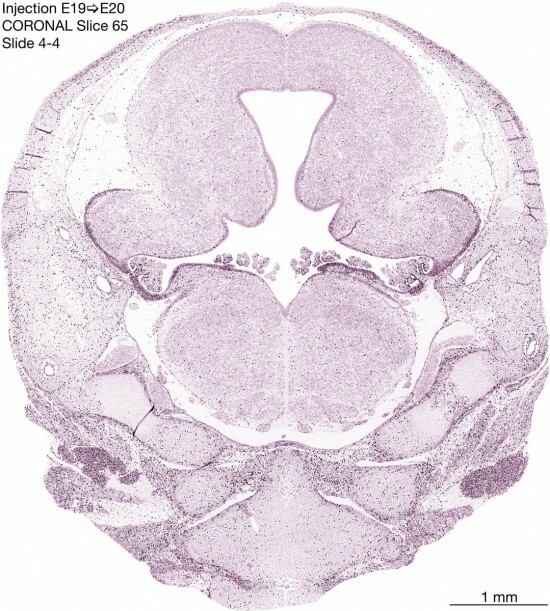 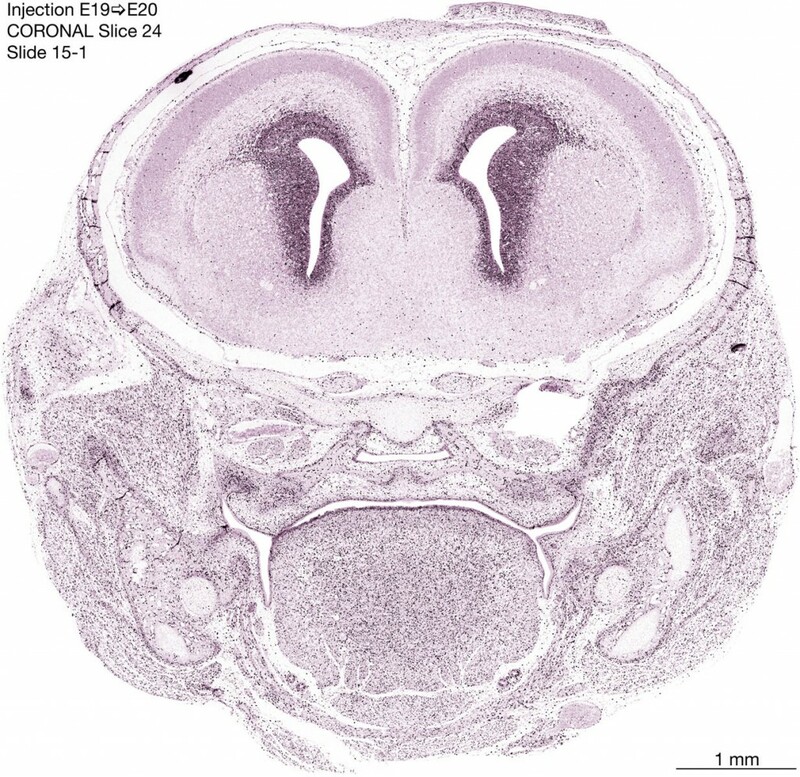 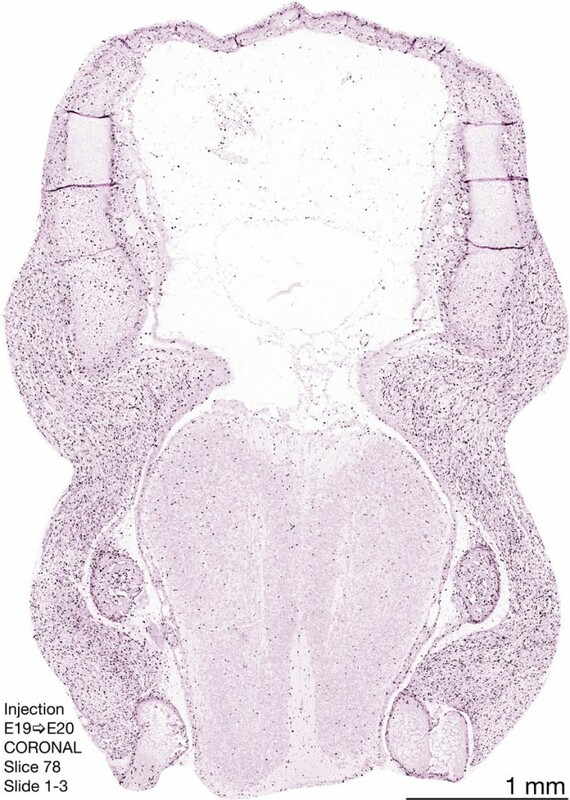 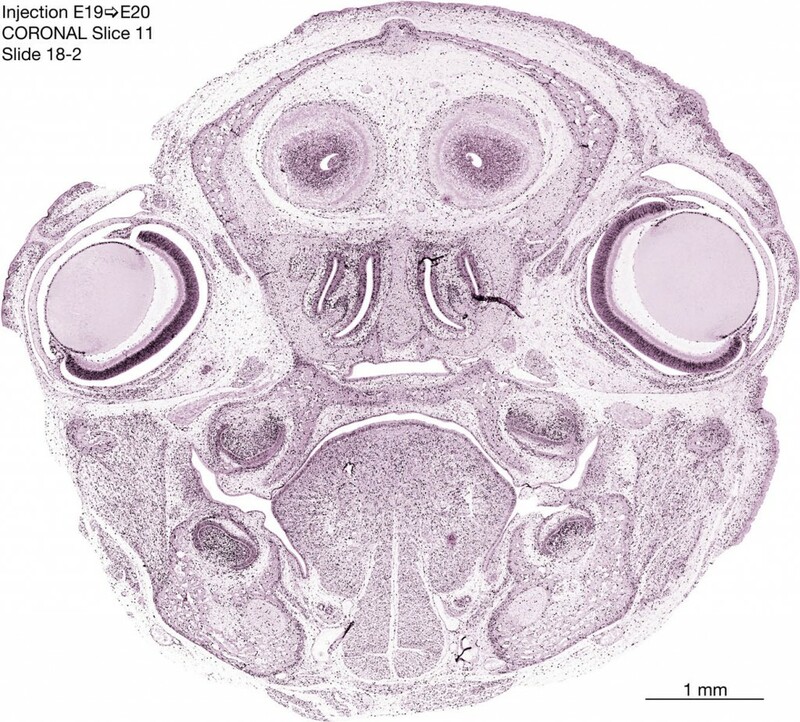 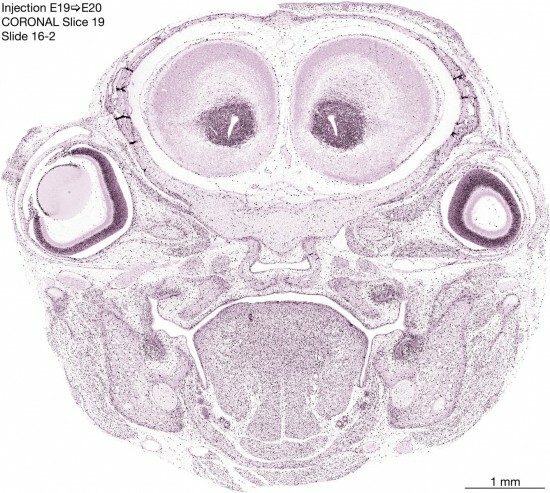 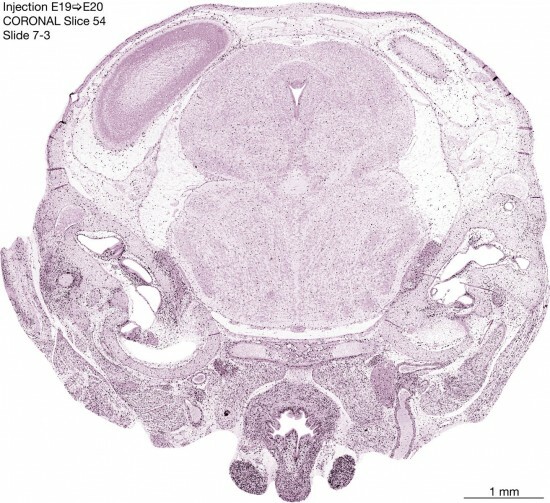 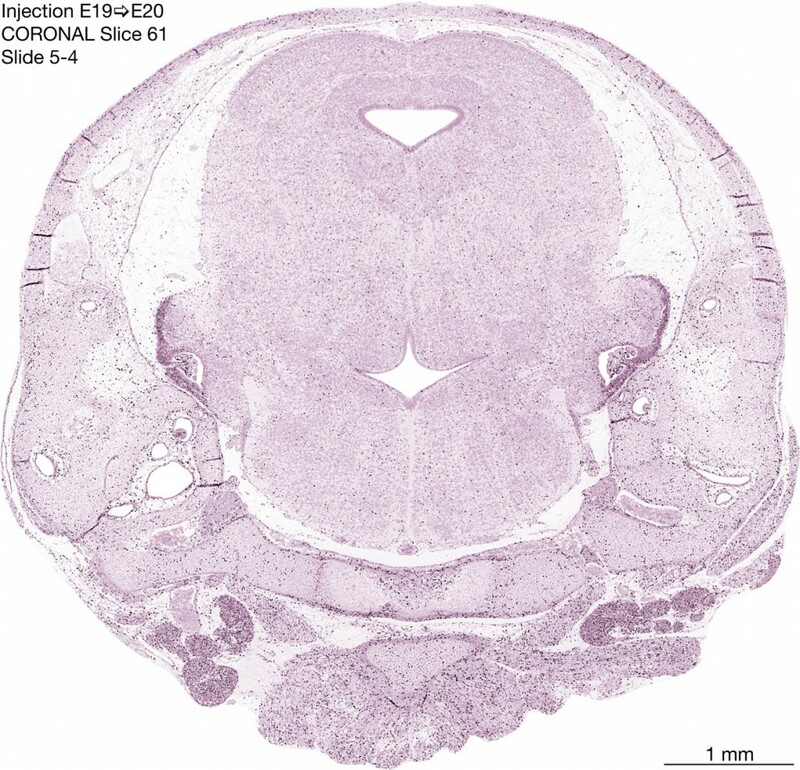 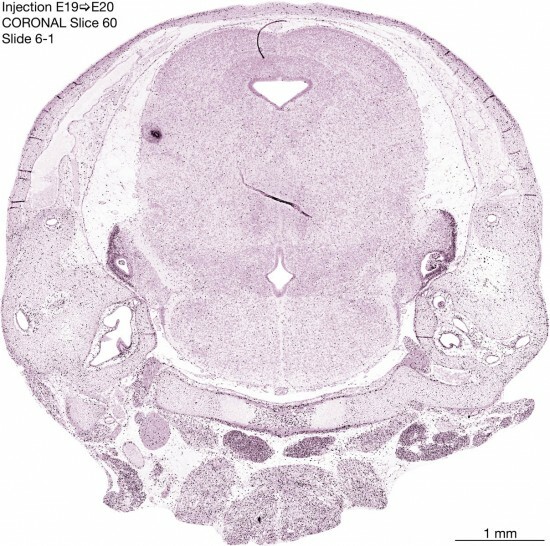 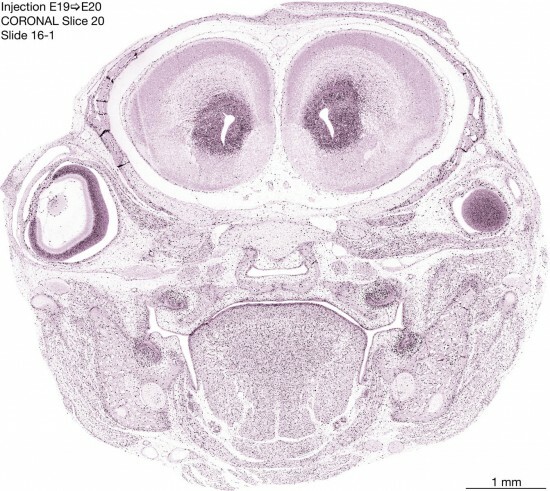 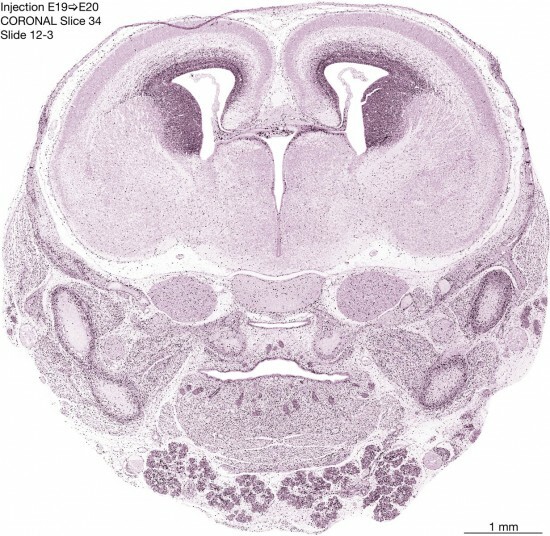 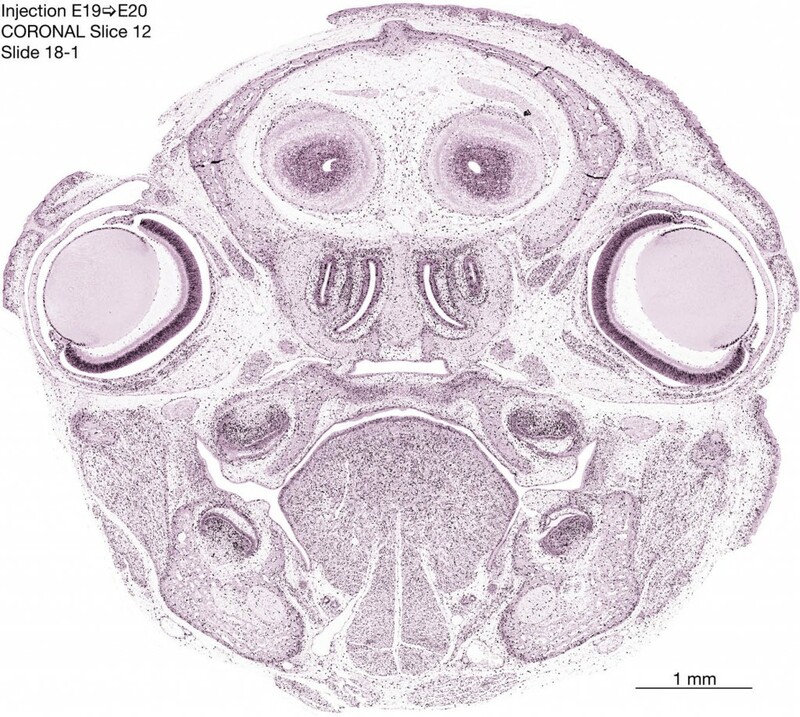 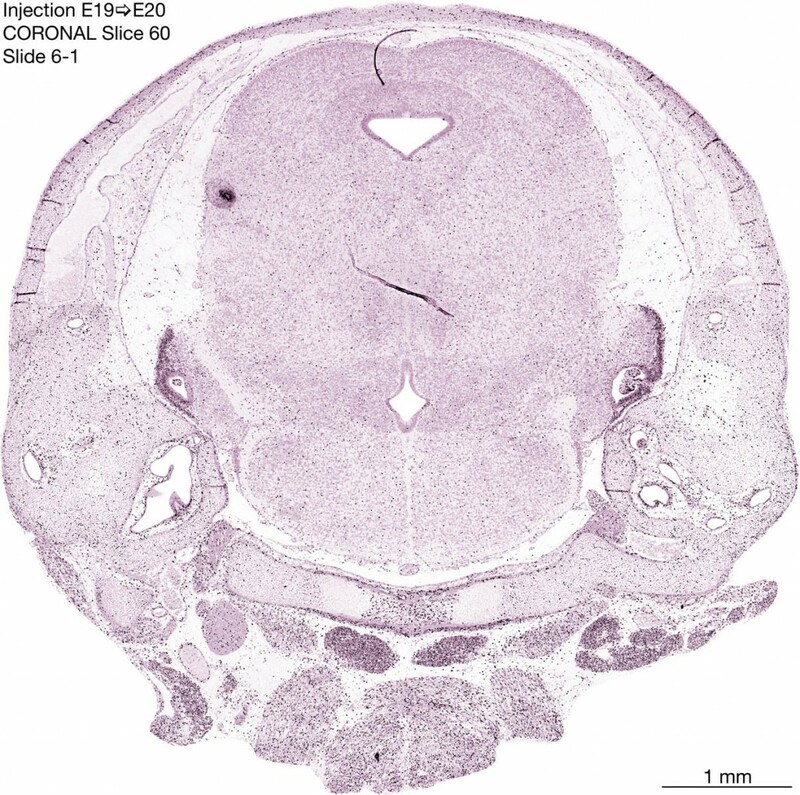 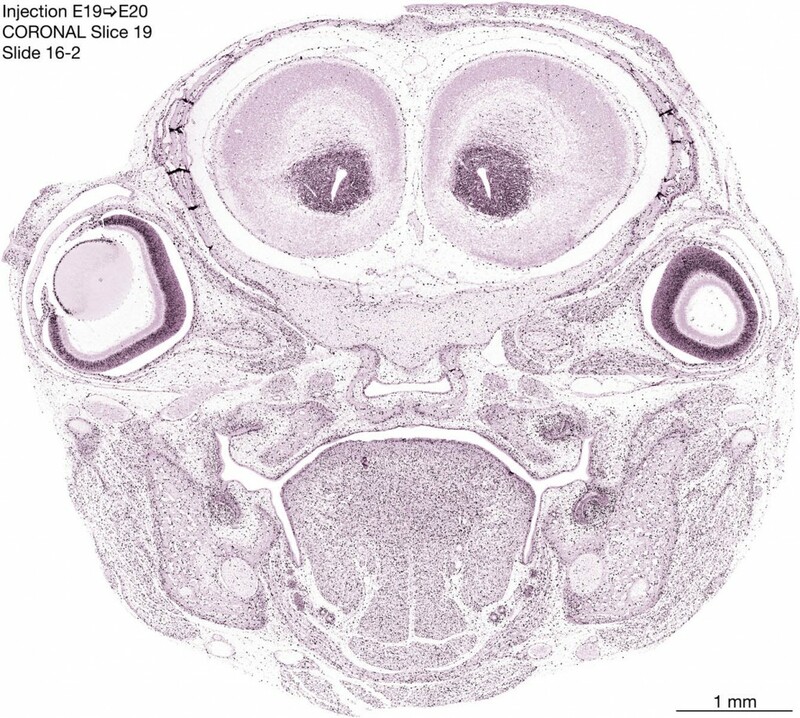 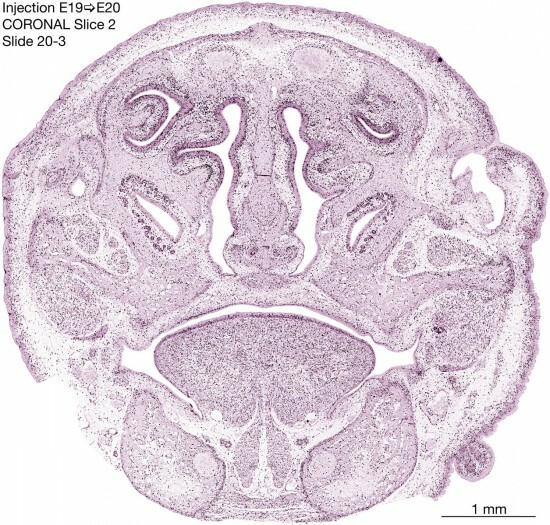 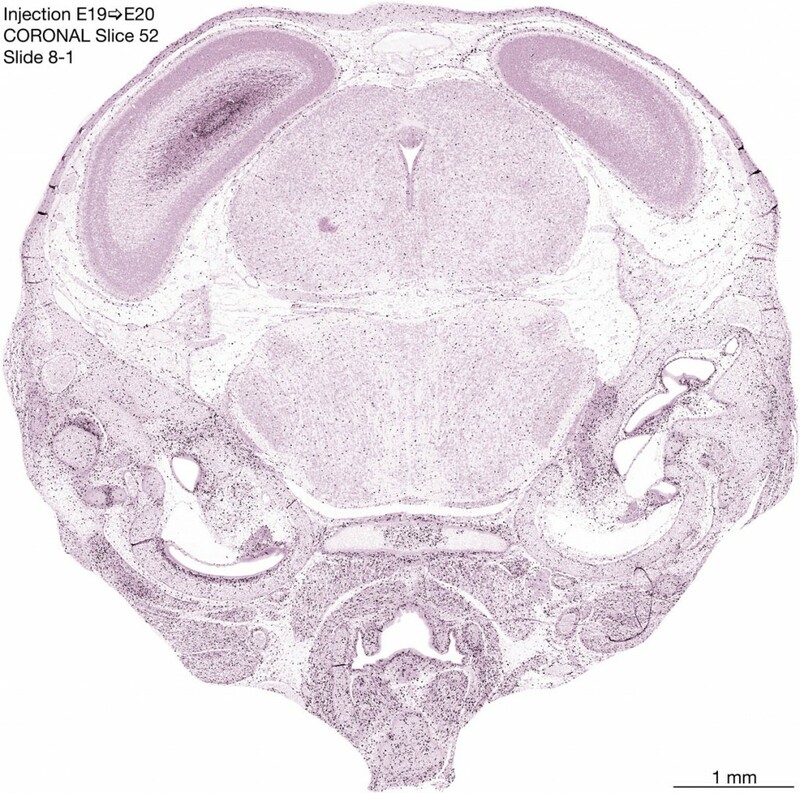 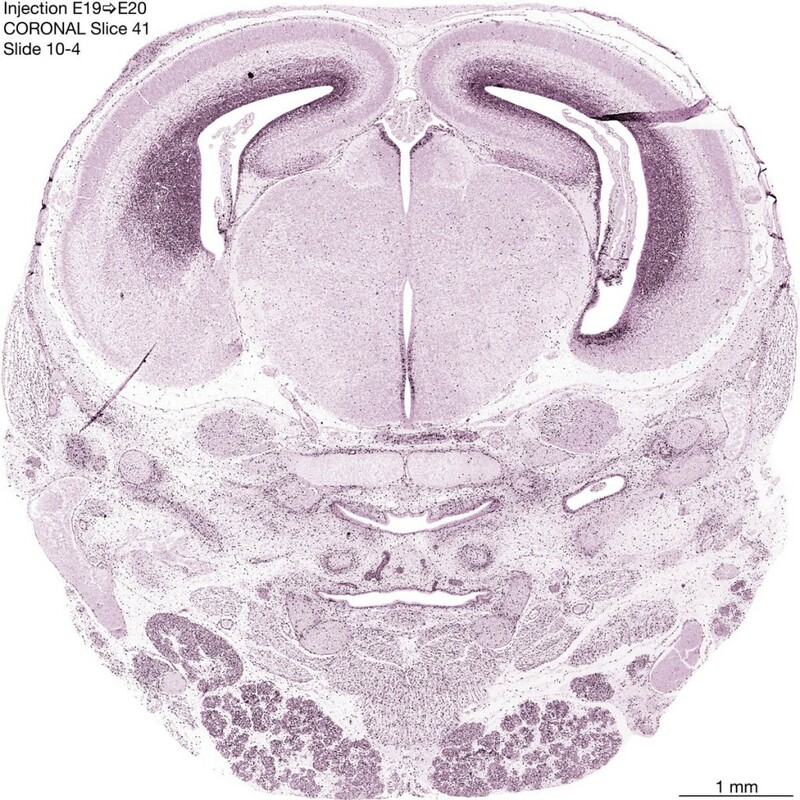 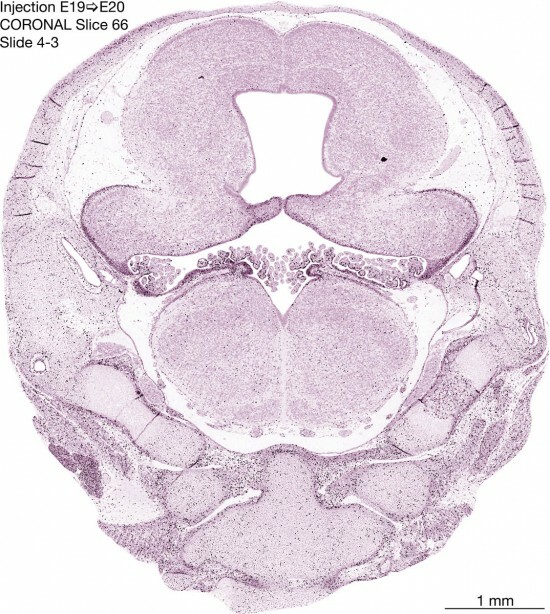 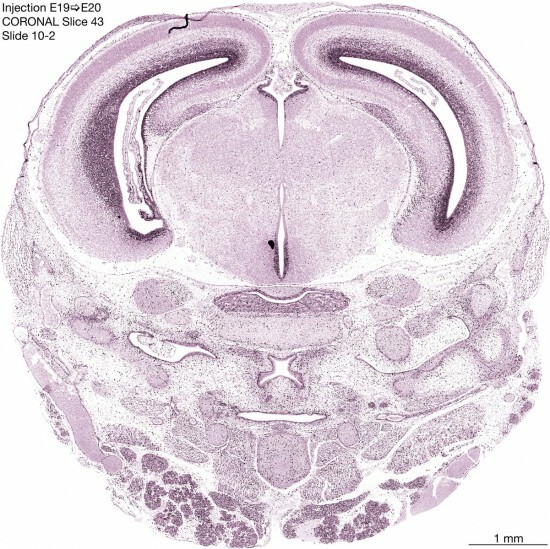 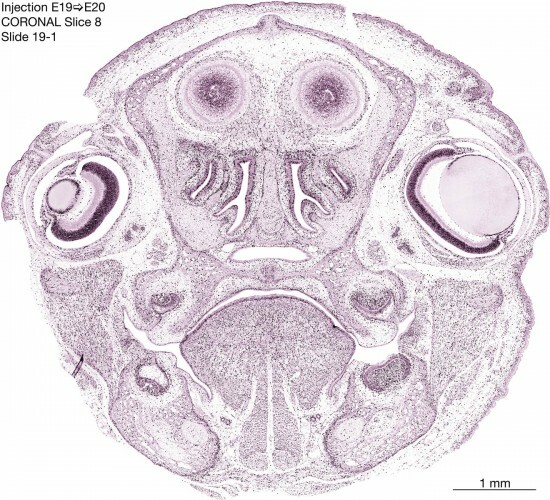 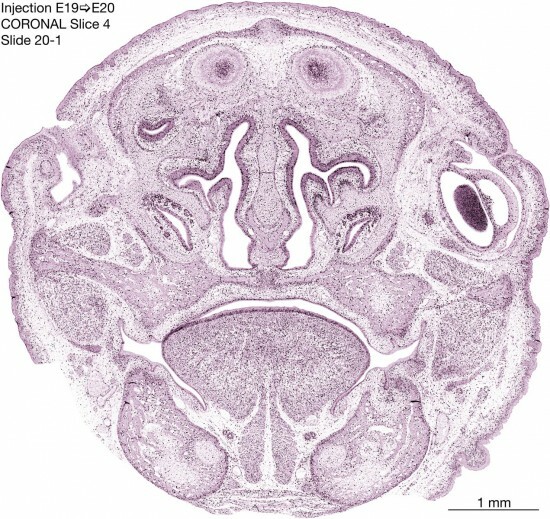 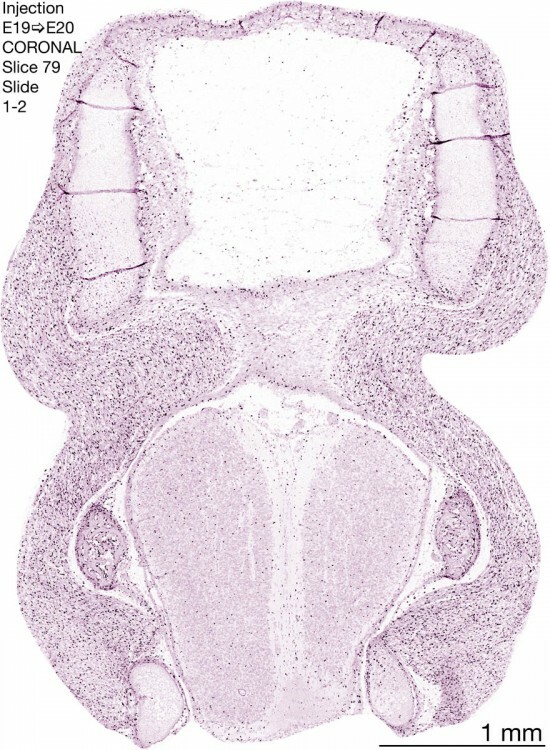 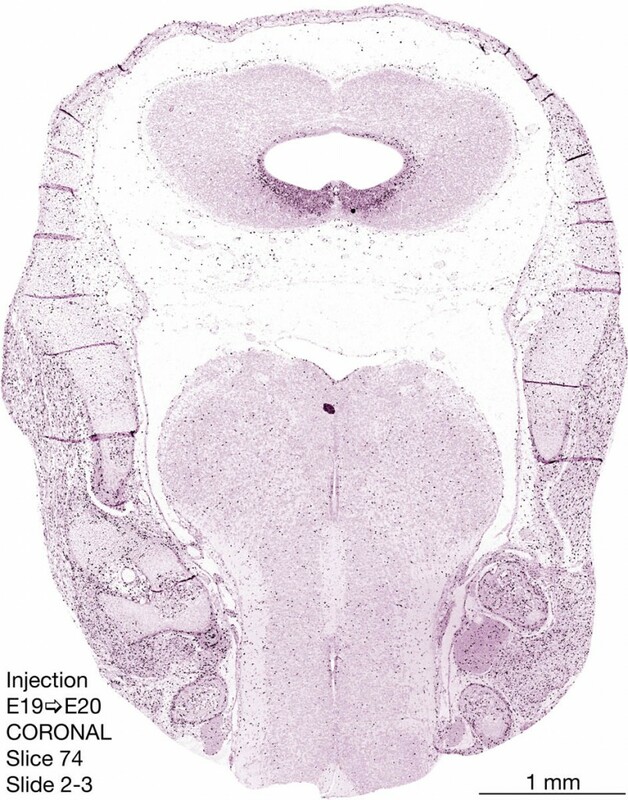 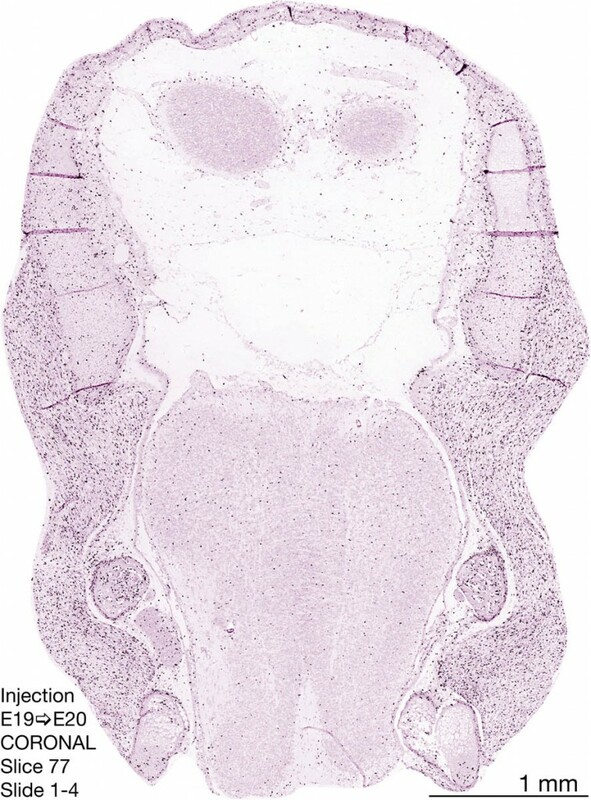 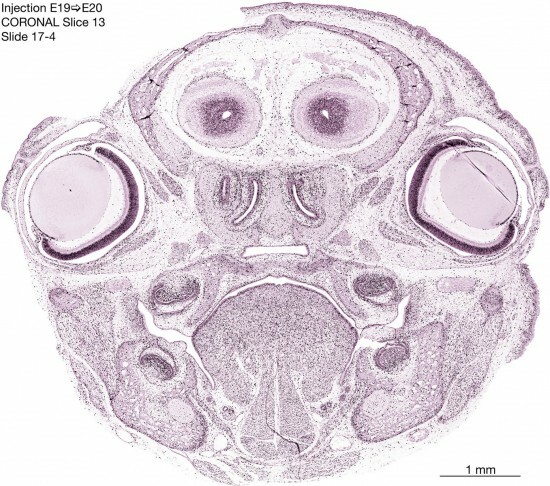 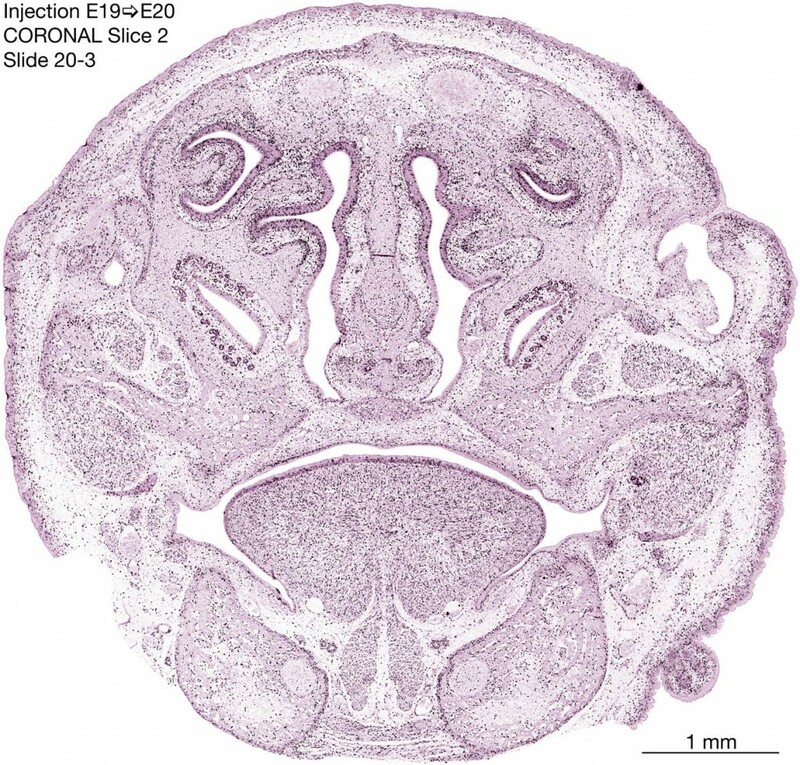 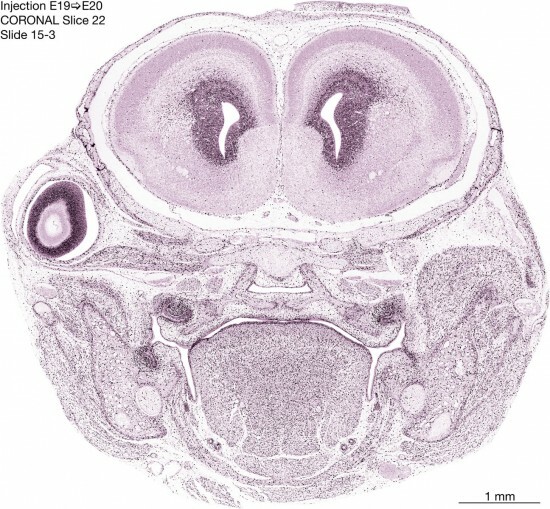 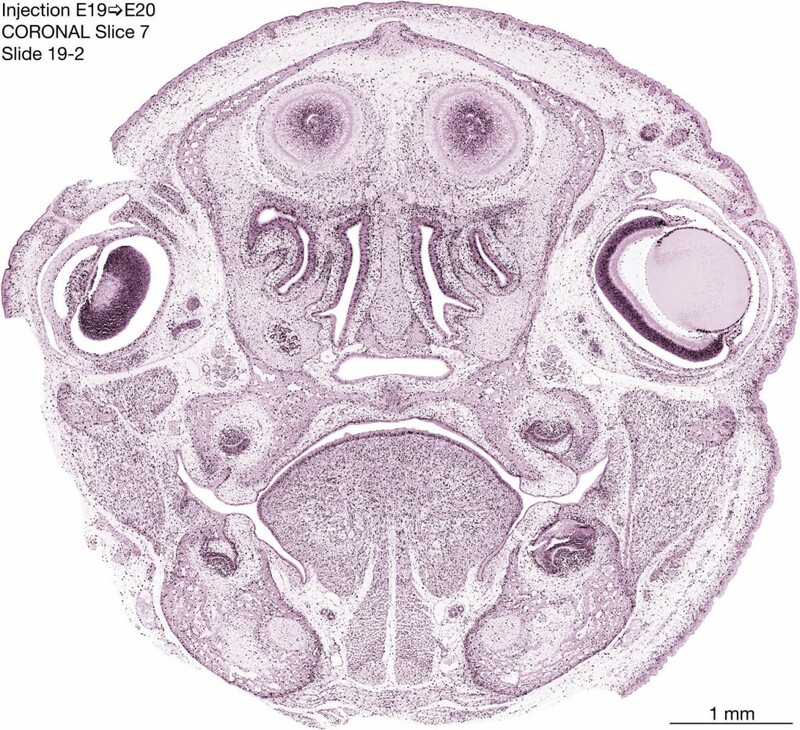 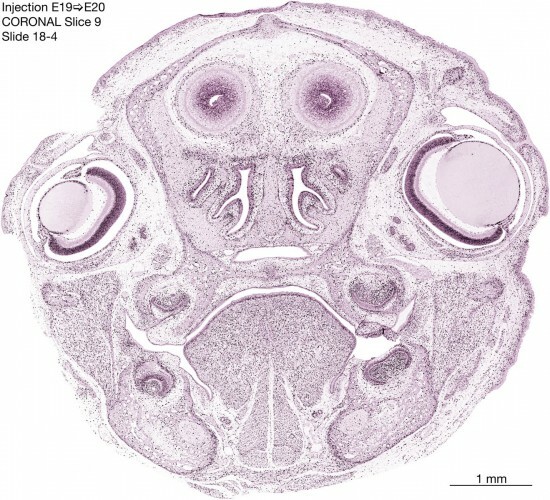 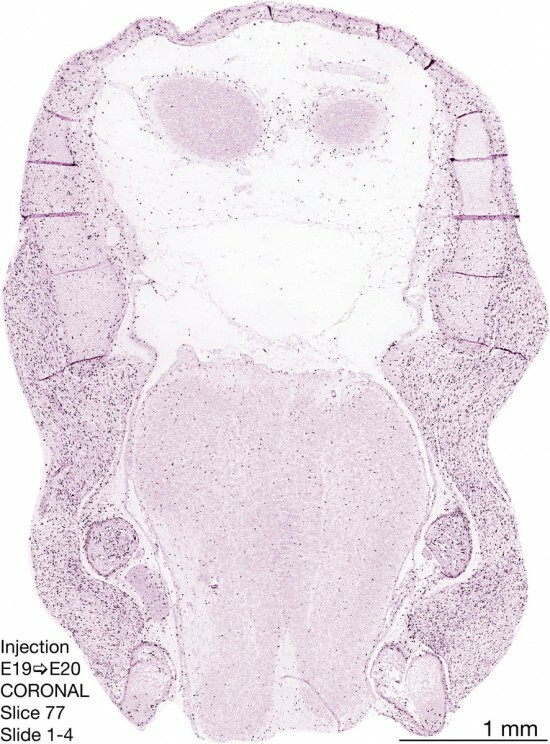 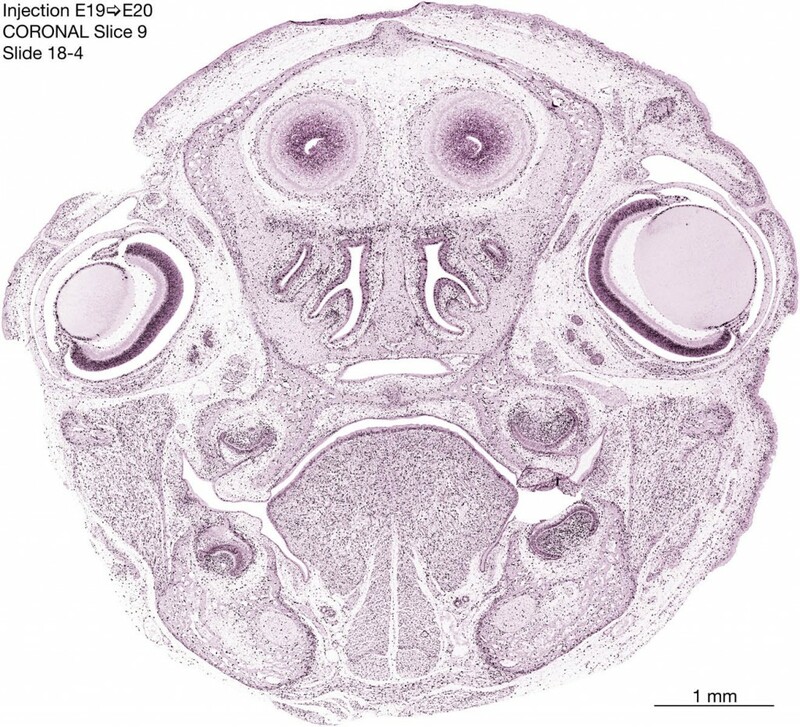 The following images are from a coronally-sectioned head of an E20 rat embryo exposed to tritiated thymidine on E19–24 hr survival. 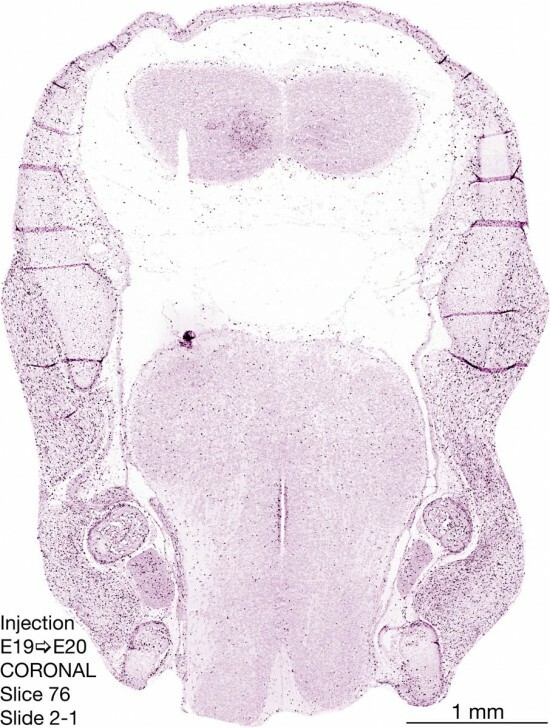 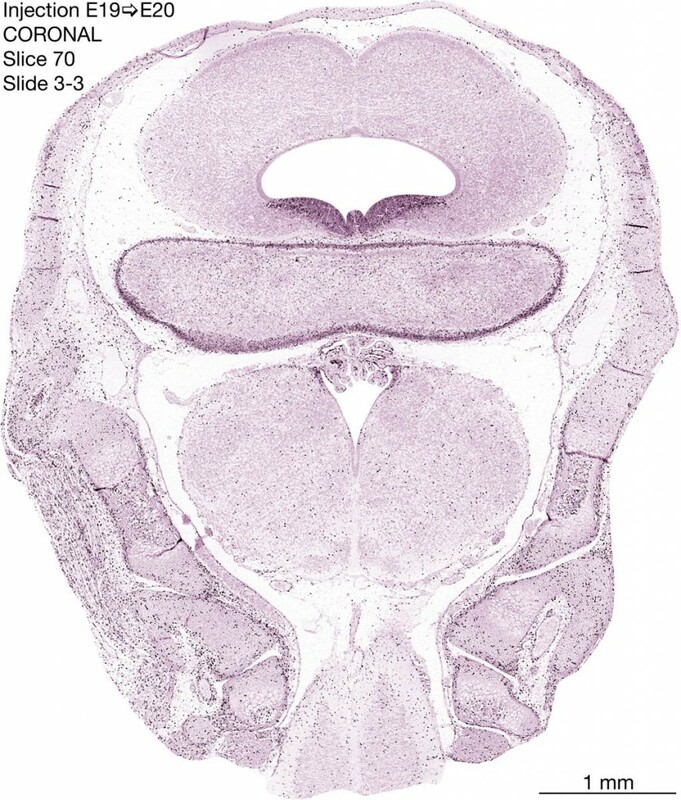 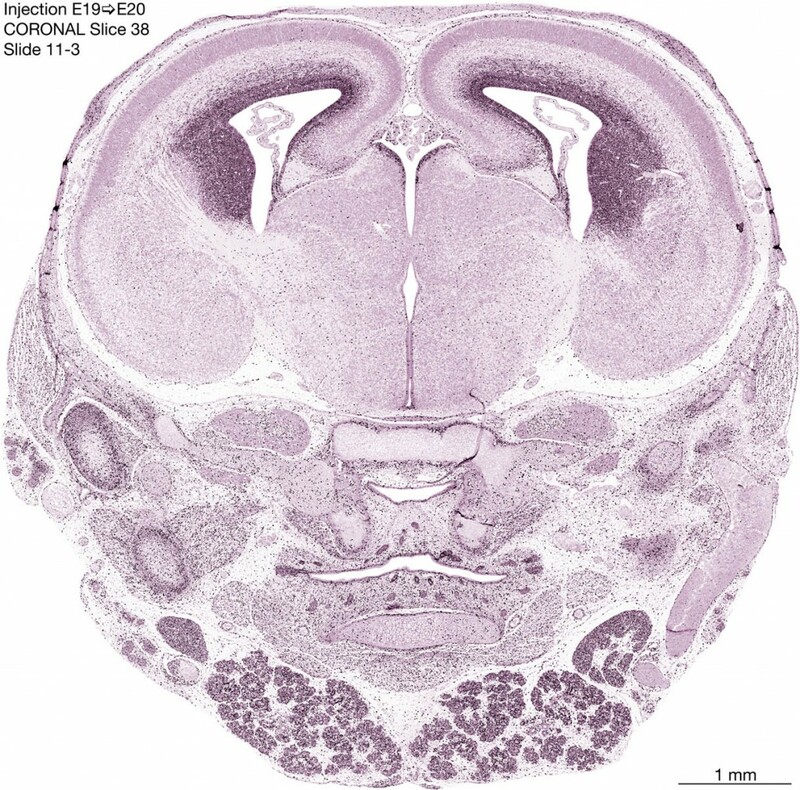 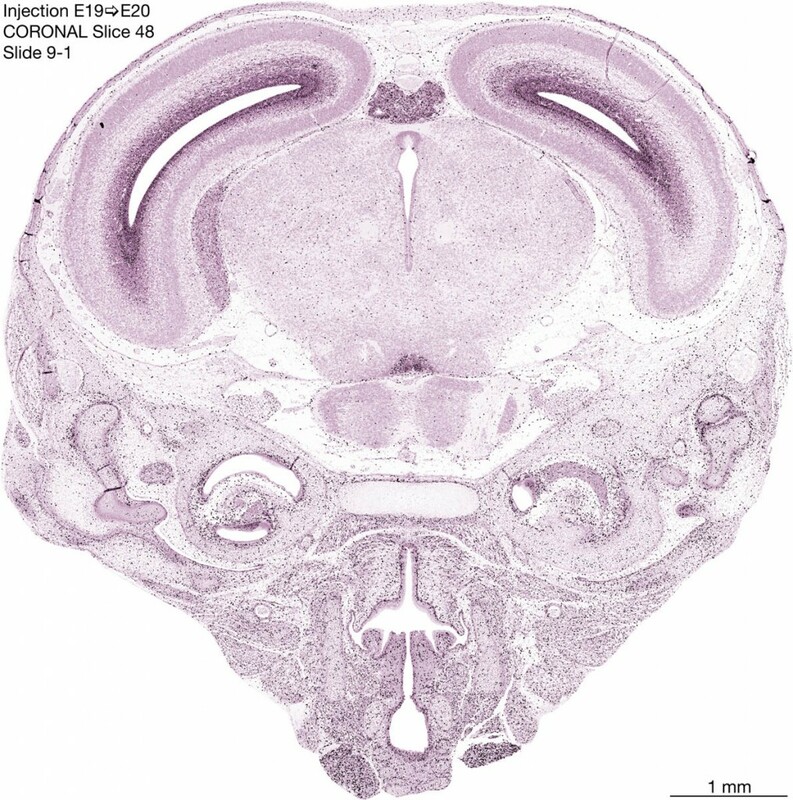 Note the heavily-labeled cells just outside the germinal zones are now much more sparse throughout the forebrain. 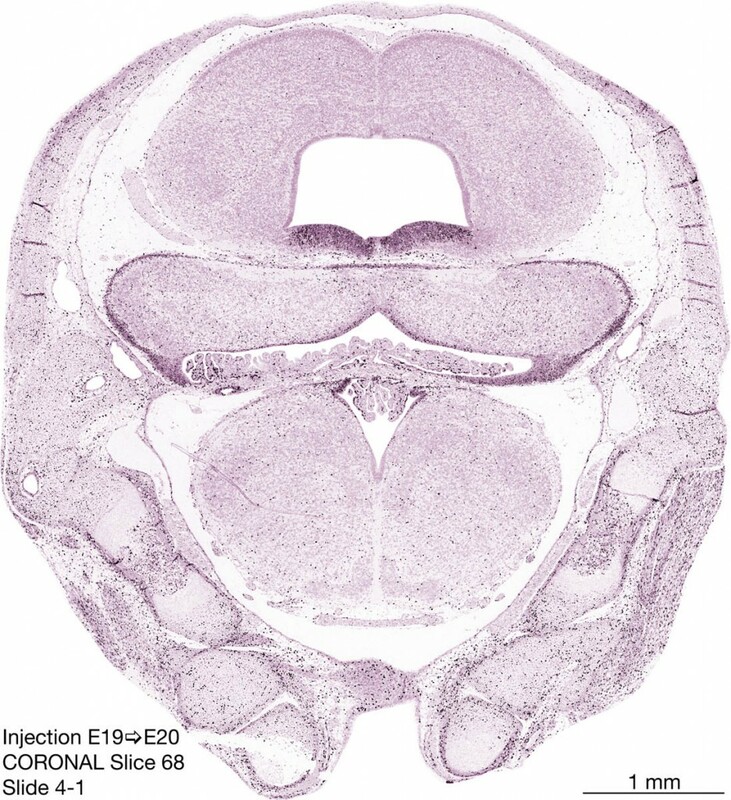 These are postmitotic young neurons generated ON E19. 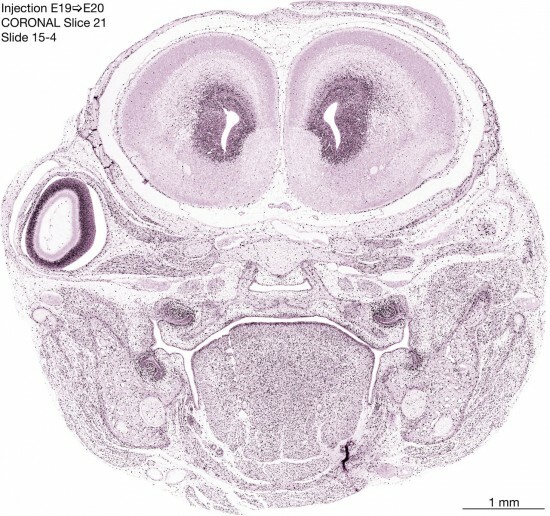 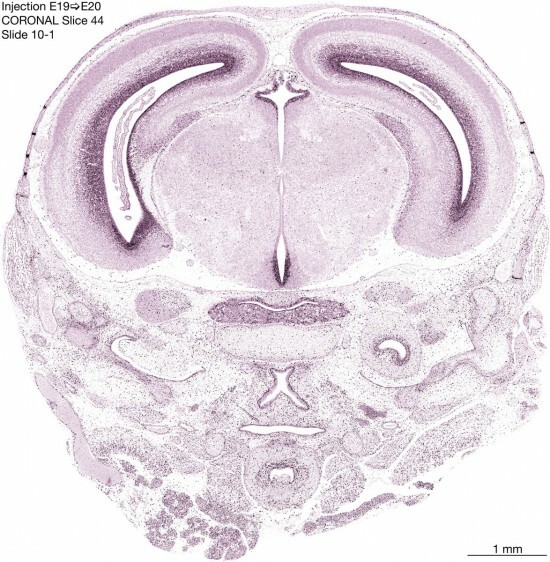 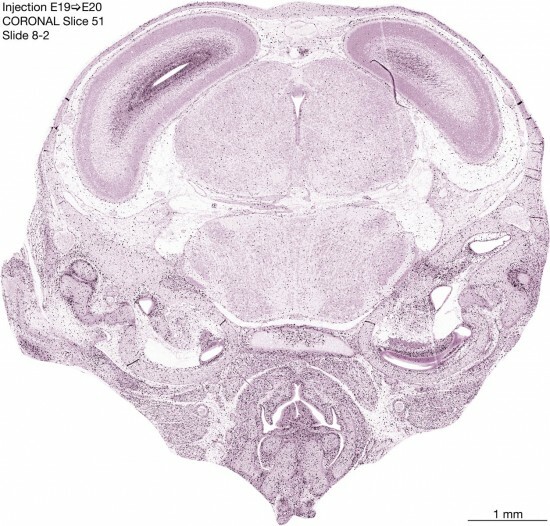 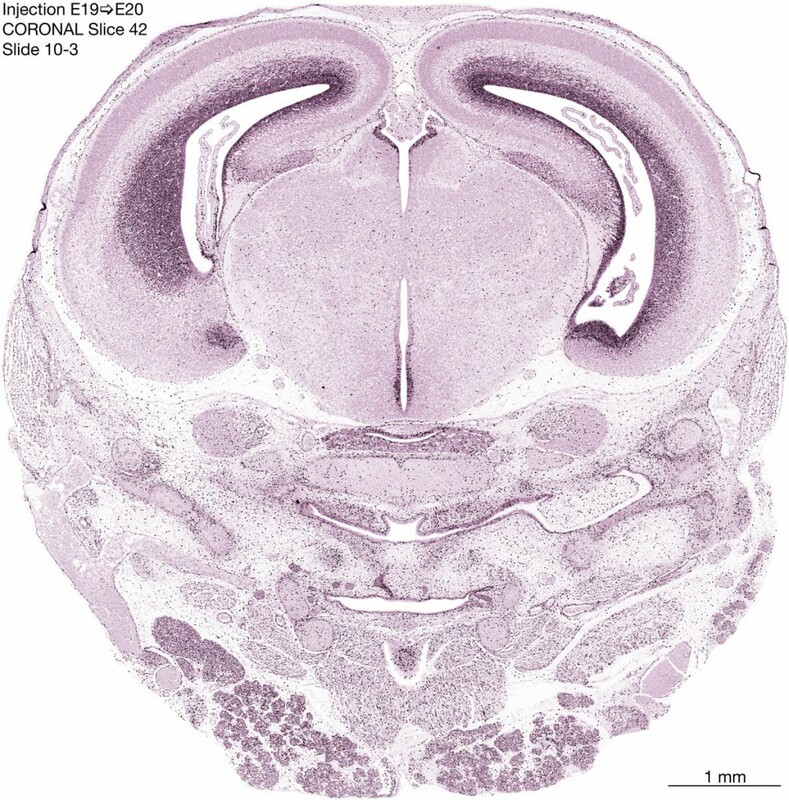 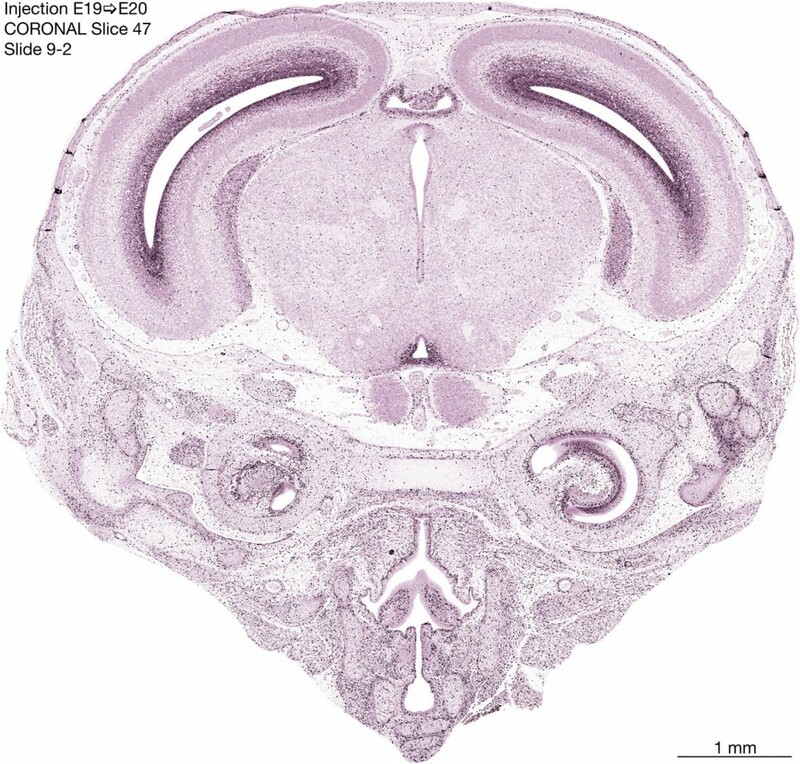 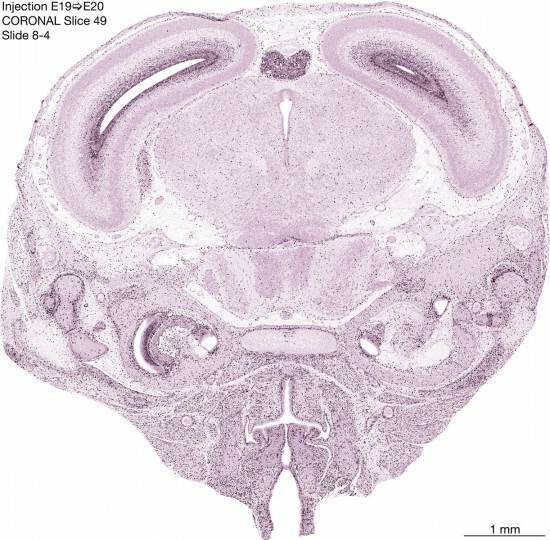 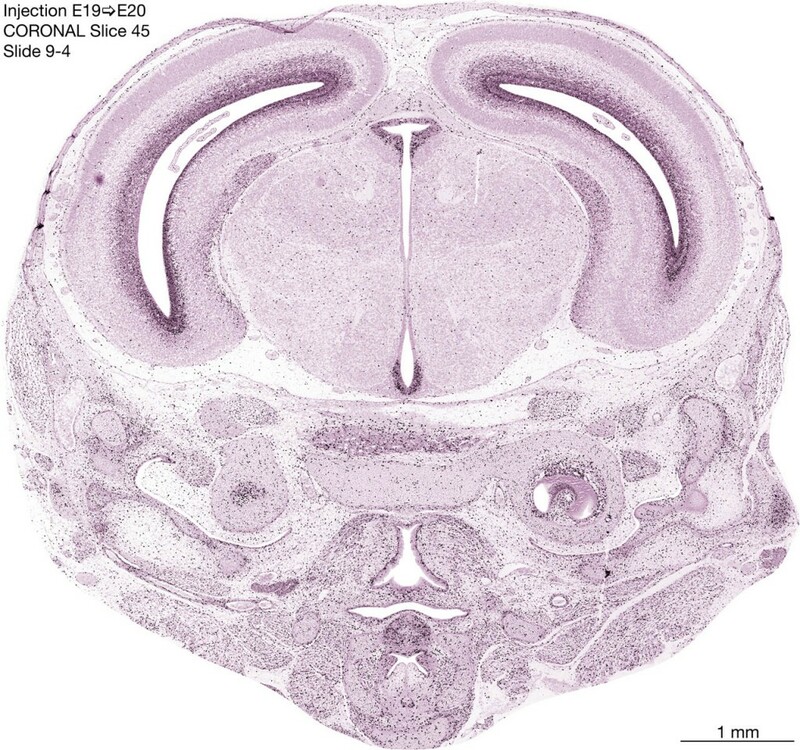 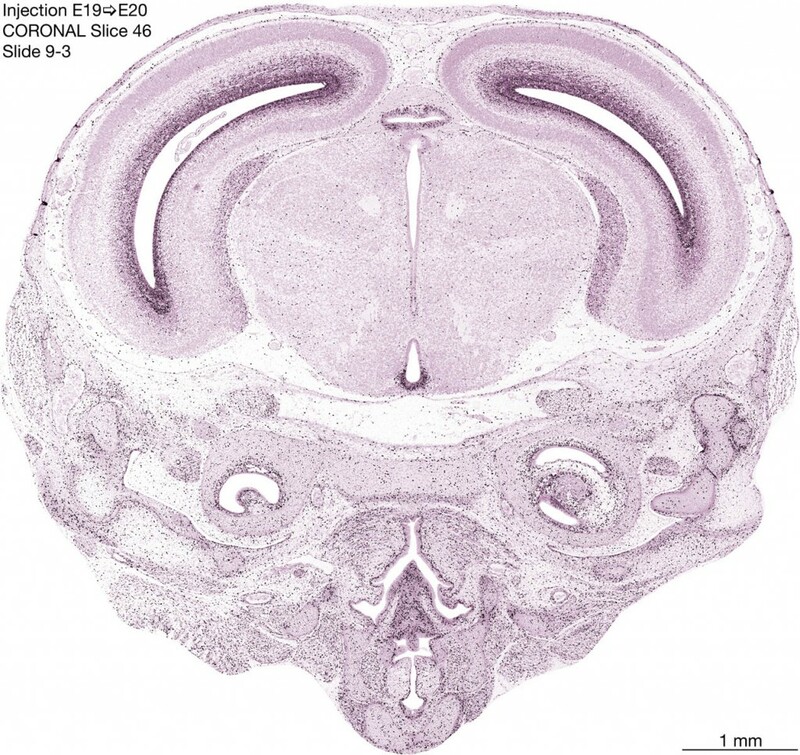 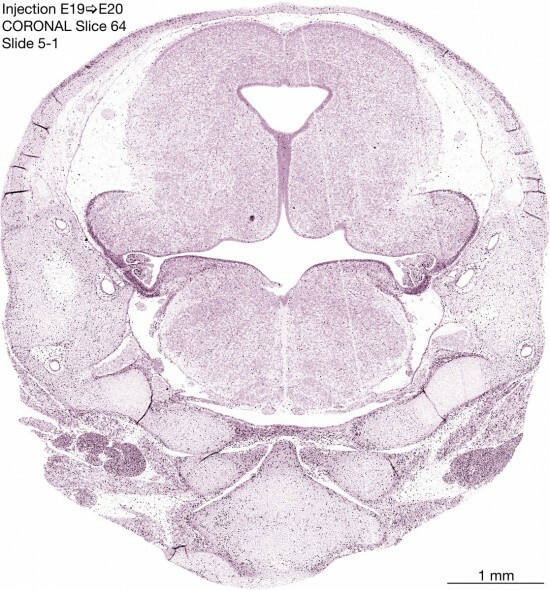 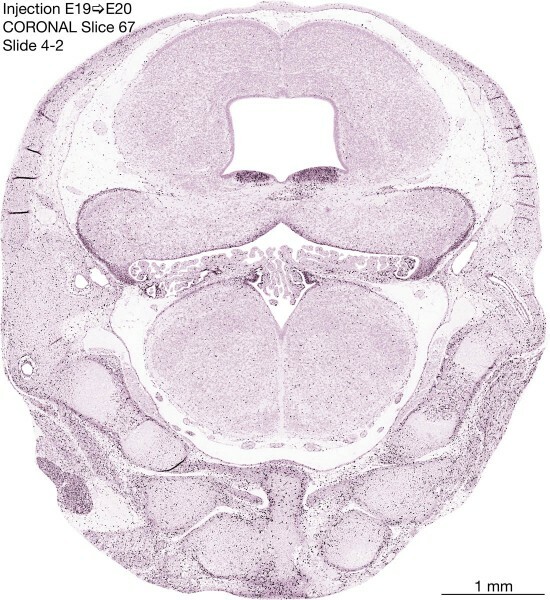 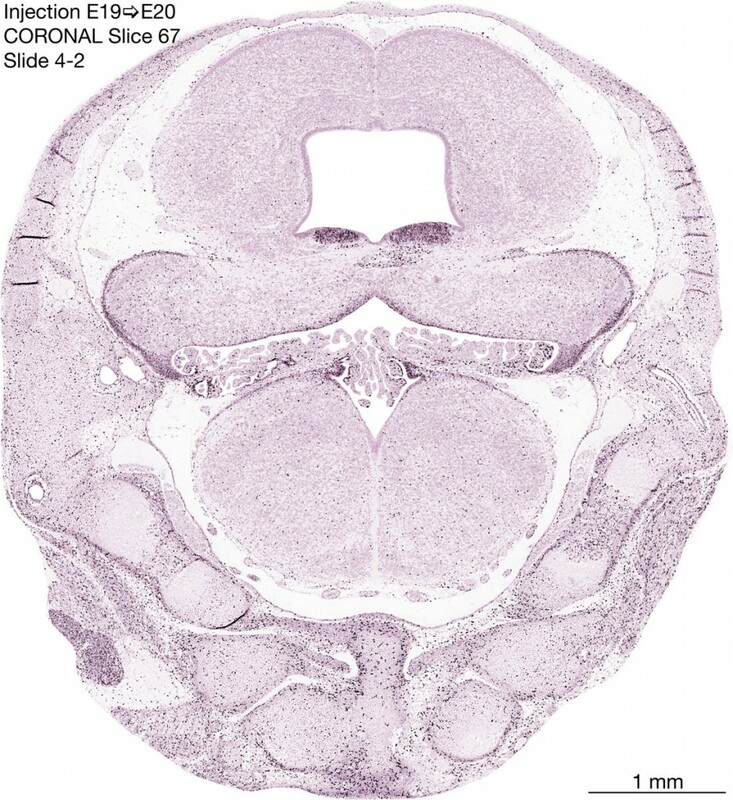 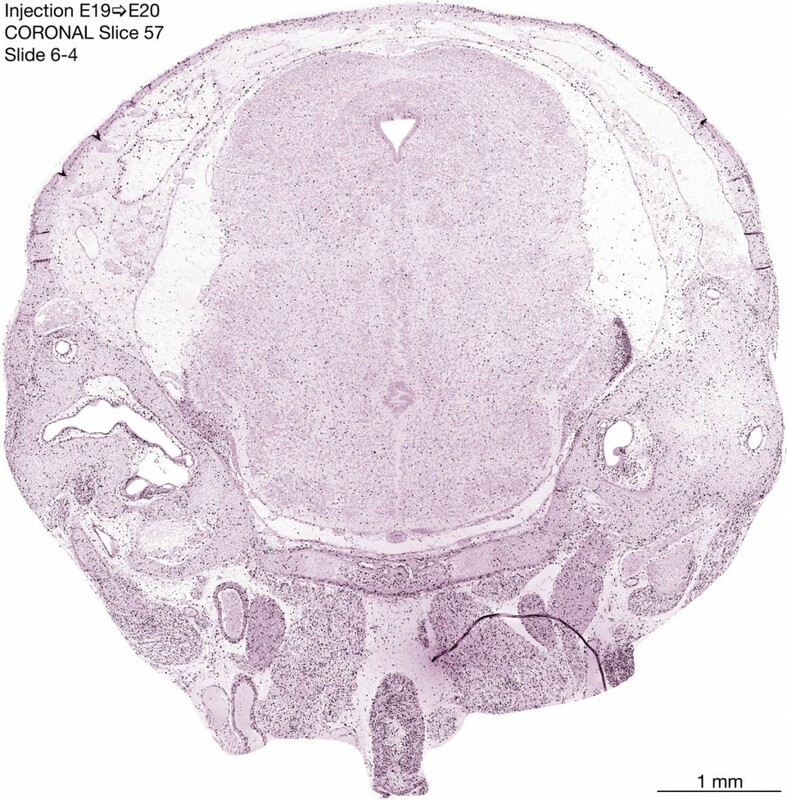 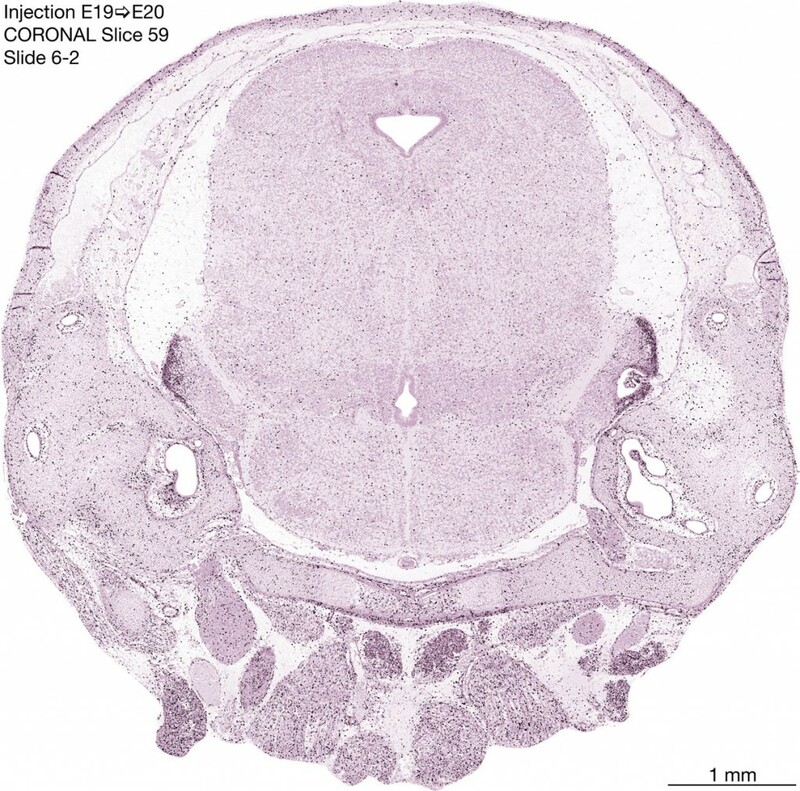 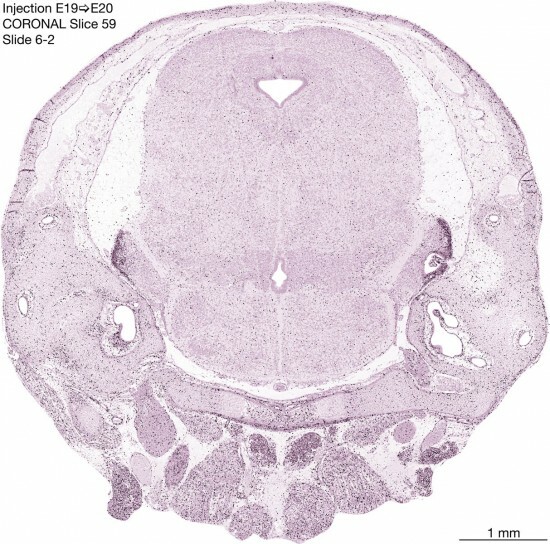 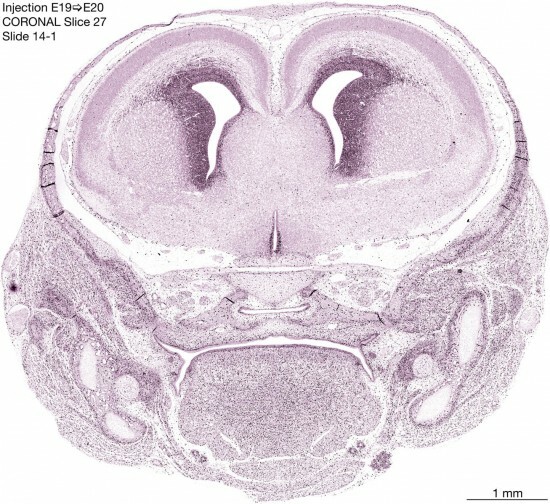 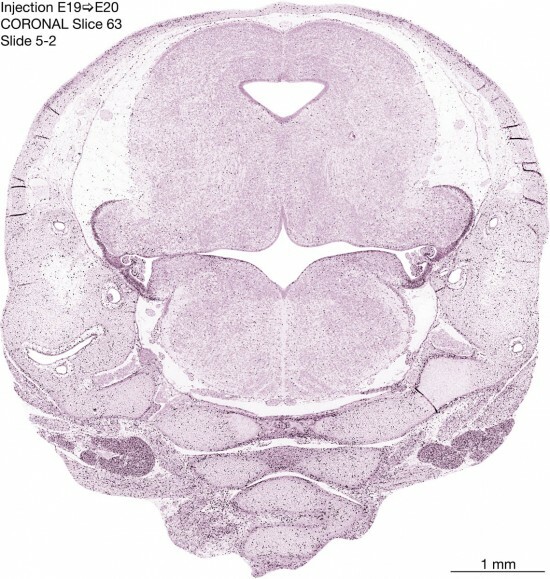 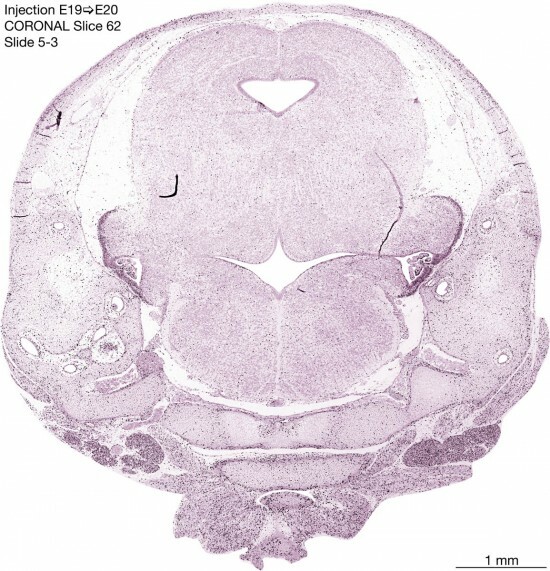 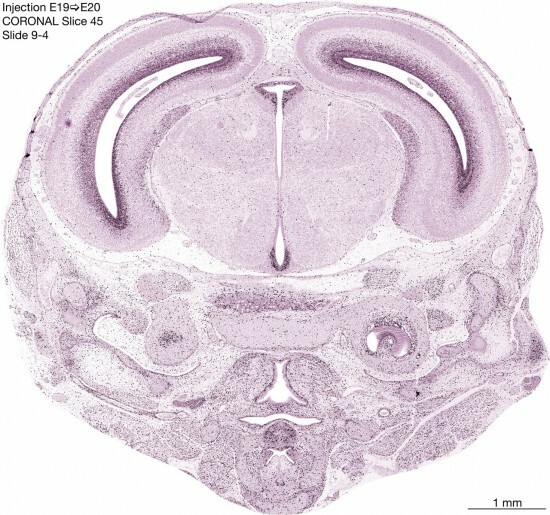 Note that the banded labeling is still present outside the neocortical neuroepithelium. Germinal zones in the brainstem have essentially disappeared and are primitive ependyma. 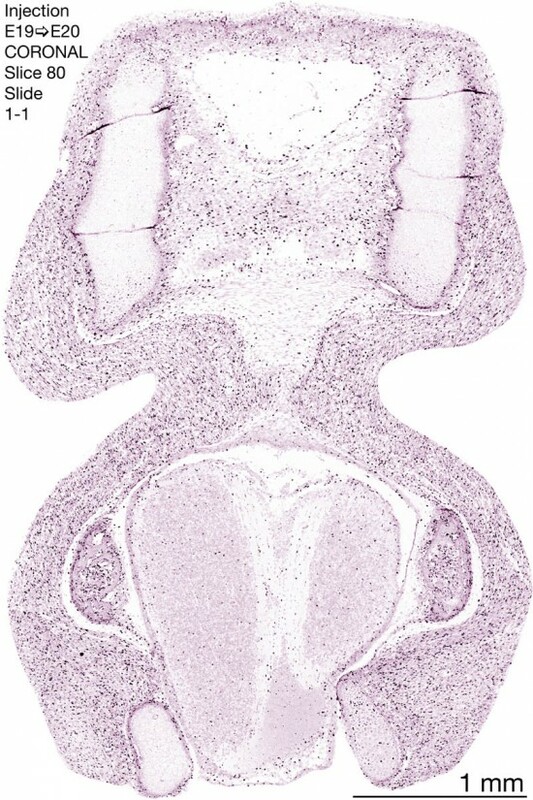 Scattered heavily labeled cells in the parenchyma are most likely proliferating glia. The cerebellum continues to stands out as an immature structure in the hindbrain.